The Quietus name Gazelle Twin‘s ‘UNFLESH’ their Album of the Year. 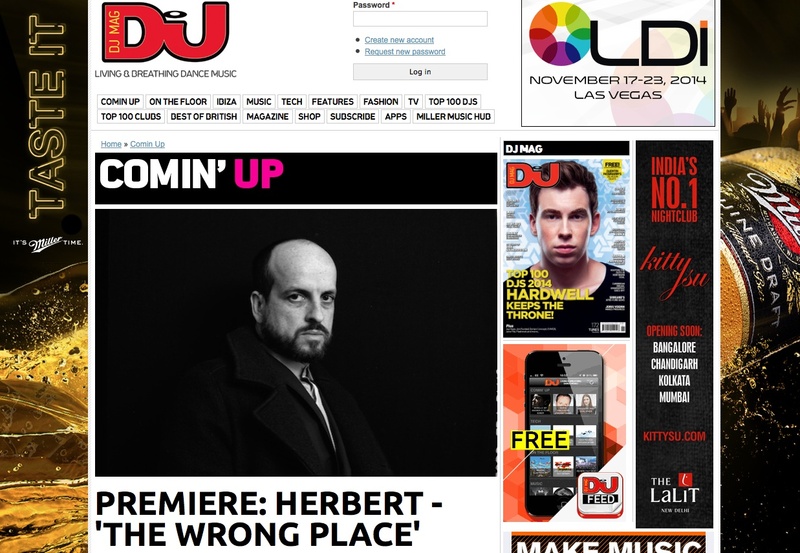 DJ Magazine feature Sau Poler’s ‘Paradoxes of Progress’ EP in their Killer Tracks page of the new issue, on stands now. 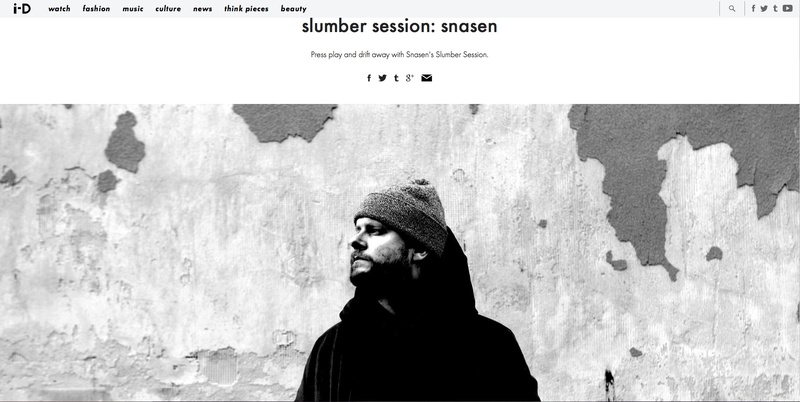 Ease into your weekend with the melodic sounds of a Slumber mix curated Snasen Music for I-D magazine. 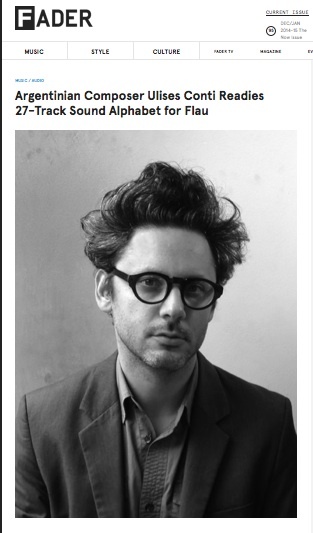 Take a sonic journey through the audio playground of Biosphere, Alva Noto & Ryuichi Sakamoto, A winged Victory for the Sullen, Colleen and many more. 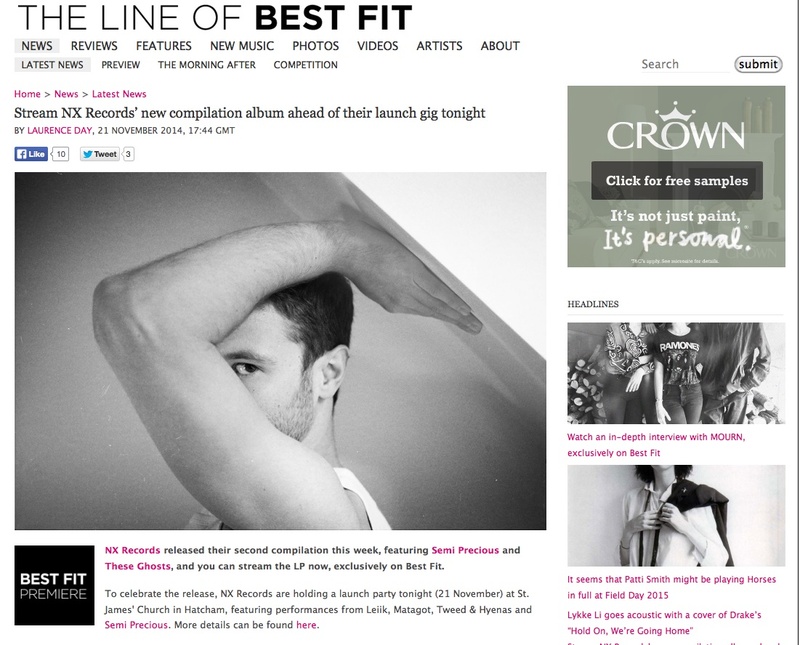 The Line Of Best Fit offer the first listen to NXRecords / Accidental Records‘ new compilation ‘Crossing Lines II’. 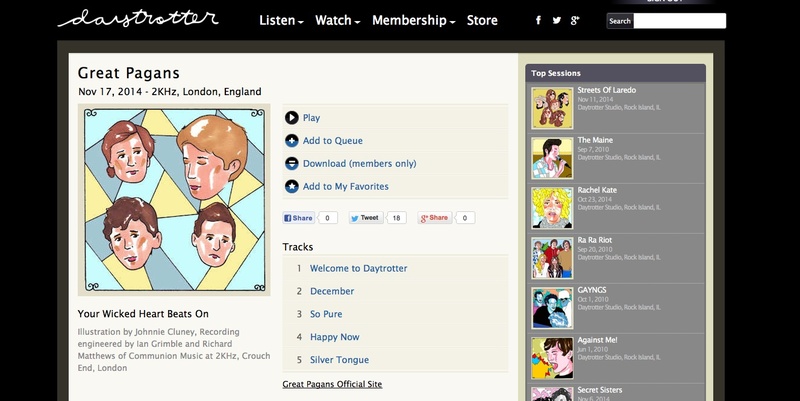 Great Pagans recorded a live session with Daytrotter. Check out the one-of-a-kind illustration of the four-piece, and listen to the band perform the album songs ‘So Pure’, ‘December’, Happy Now’ and ‘Silver Tongue’ live. 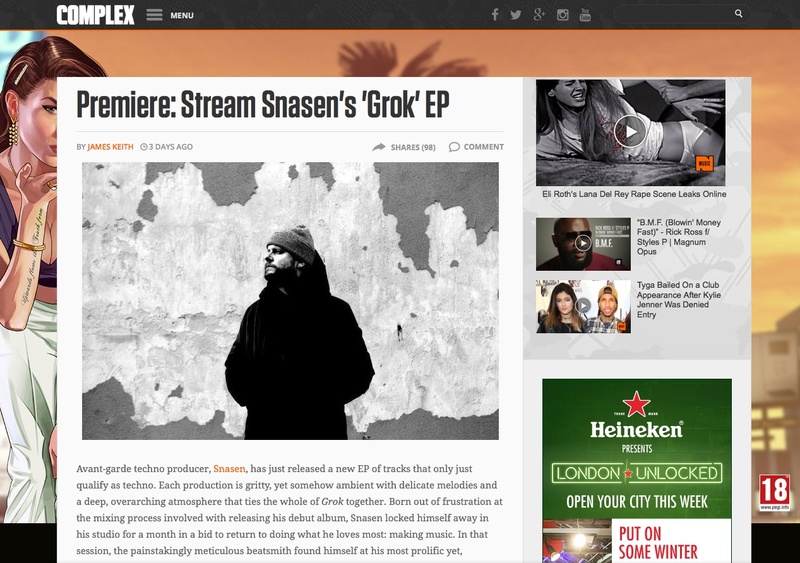 Snasen Music‘s ‘Grok’ EP is out this week. Stream the entire release over at Exclaim! (North America) and COMPLEX (UK). The 405 chat to Great Pagans‘ Alex Painter about the band’s debut album ‘Cupid In Error’, the comparisons/influences of The Smiths and Jesus and the Mary Chain, and forming the artist-run collective Anti-Ghost Moon Ray label. Tonik Ensemble‘s new single ‘Until We Meet Again’ is out NOW, with the addition of remixes by Applescal, Olaf Stuut. and Snooze Infinity, over at THUMP/VICE. Denver-based duo True Lust drop their new single ‘Vices’ thanks to CMJ. 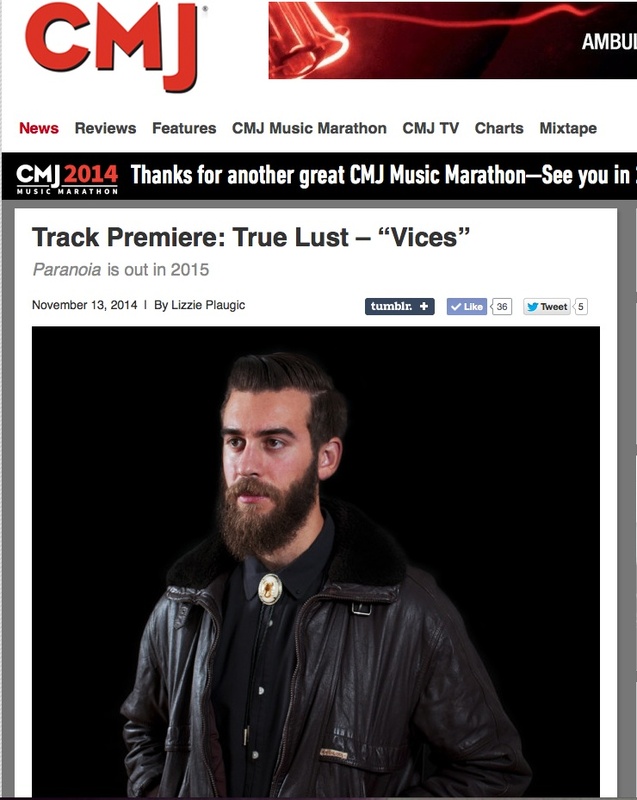 The spaced-out synth jam ‘Vices’ is taken from True Lust’s forthcoming album ‘Paranoia’. Shot in the forest of Umeå, Sweden, photographer Vilma Larsson documents a day in the life of Swedish duo, Gidge. 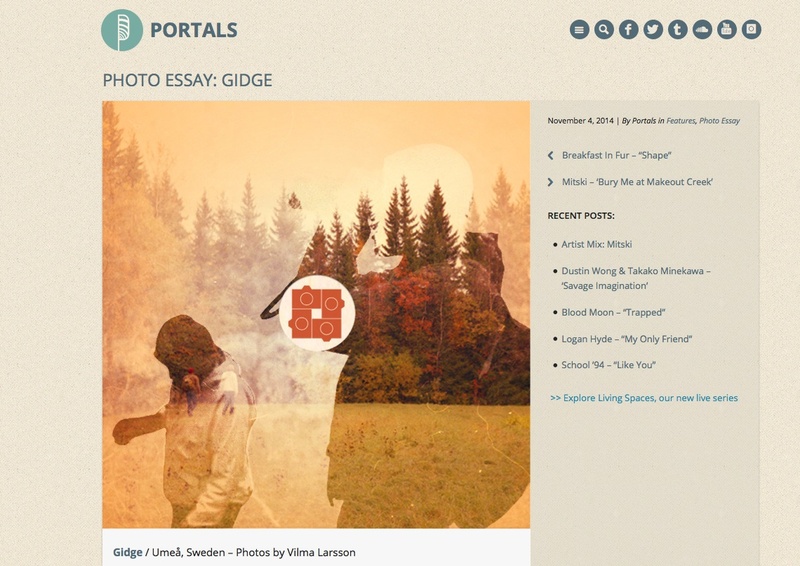 See a photo essay of their adventure in the wilderness thanks to Portals. 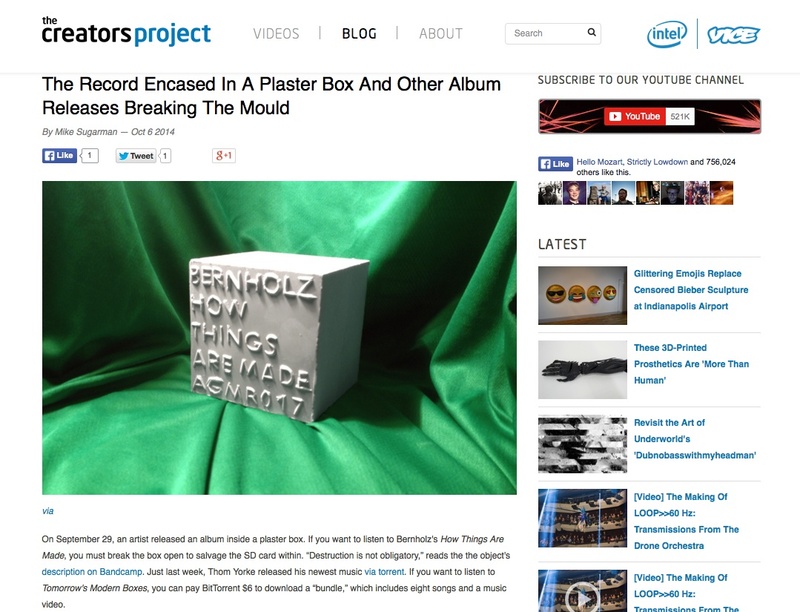 The Creators Project investigate new forms in releasing music in the digital age, featuring recent works by Thom Yorke, Aphex Twin and the plaster box album release by Bernholz. 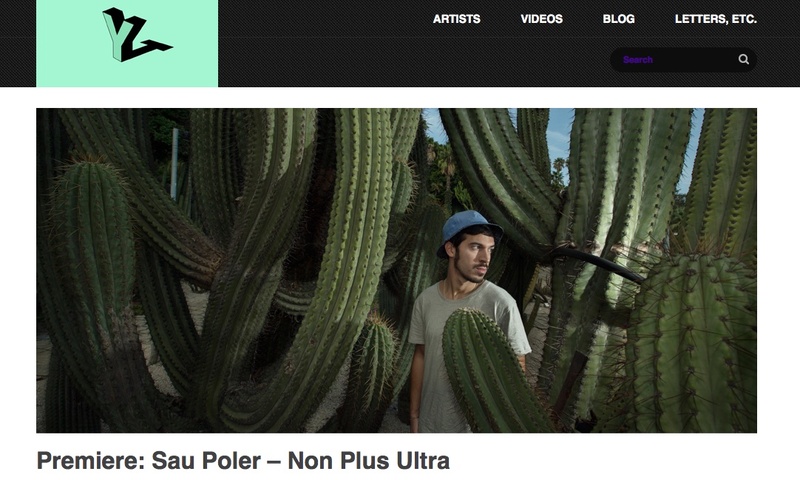 In addition to the Yours Truly SF premier earlier this week, it’s great to see COMPLEX, THUMP, XLR8R and more get behind the new track ‘Non Plus Ultra’ by Spanish producer Sau Poler. Expect to hear more from his ‘Paradoxes Of Progress’ EP over the coming weeks. 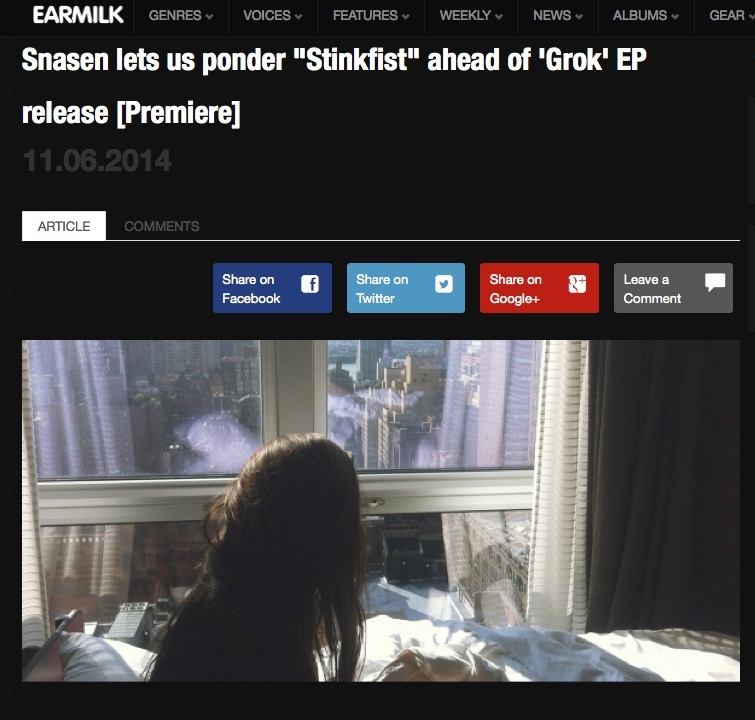 Norwegian sonic sculptor Snasen Music returns with a new EP called ‘Grok’. The EP will be released on SellOut! Music on November 17th and precedes his debut full-length, which is set for release in February 2015. Earmilk previews the lead track ‘Stinkfist’ featuring The Ruby Suns on percussion and Ellen Sofie Mosebekk on vocals. 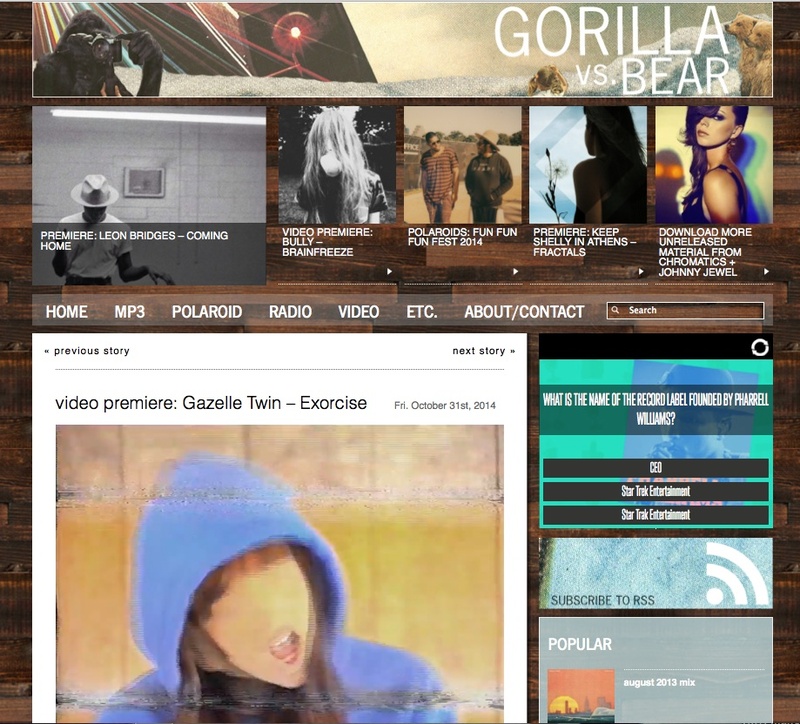 Gorilla vs. Bear PREMIER Gazelle Twin‘s spooky ‘Exorcise’ video. 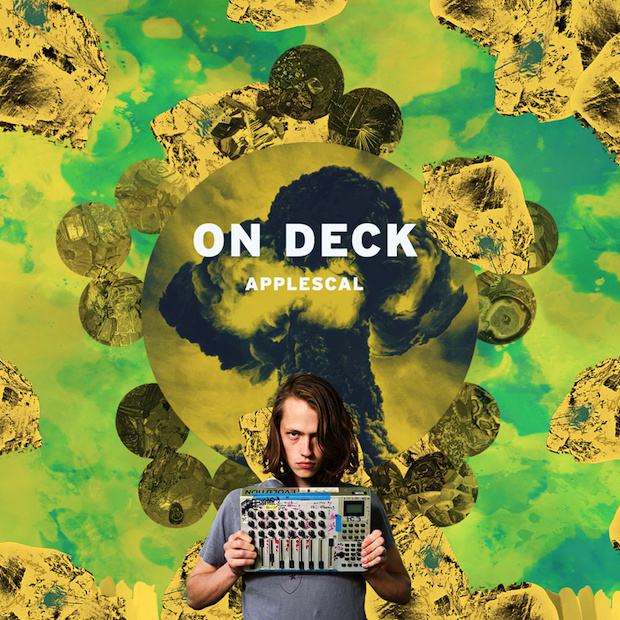 Atomnation label boss, Applescal, creates a special On Deck mix for THUMP/ VICE. NXRecords / Accidental Records reveal a new song from their forthcoming ‘Crossing Lines II’ compilation. 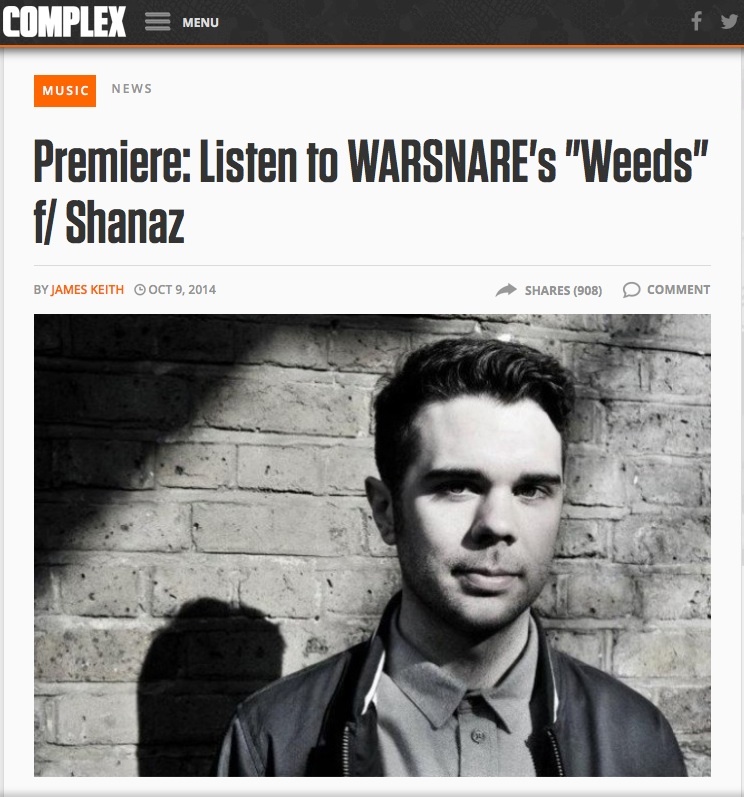 Hear WARSNARE‘s new cut ‘Weeds’ featuring the soulful vocals of Shanaz, over at Complex. 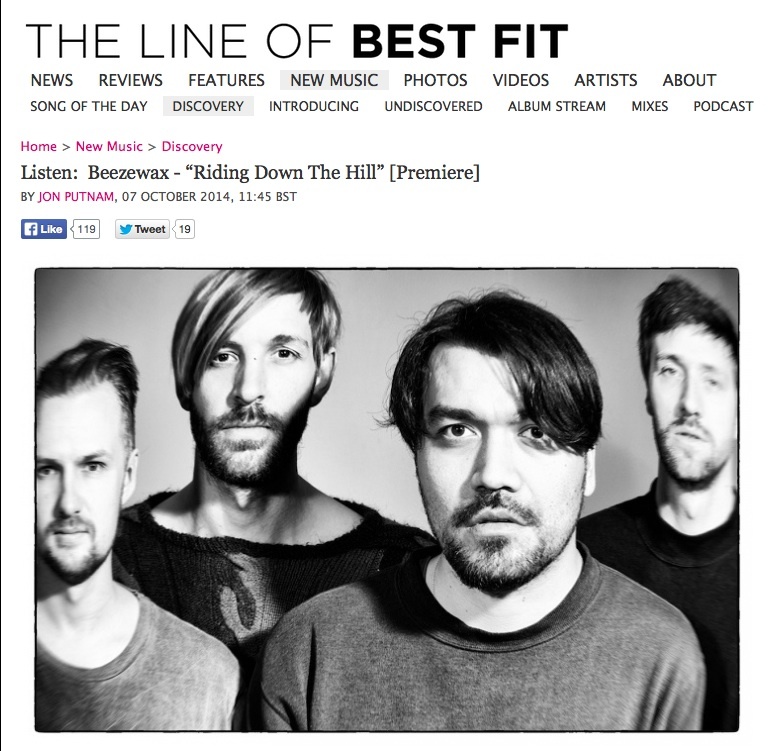 The Line of Best Fit premier the new single ‘riding Up A Hill’ by Norwegian band Beezewax. 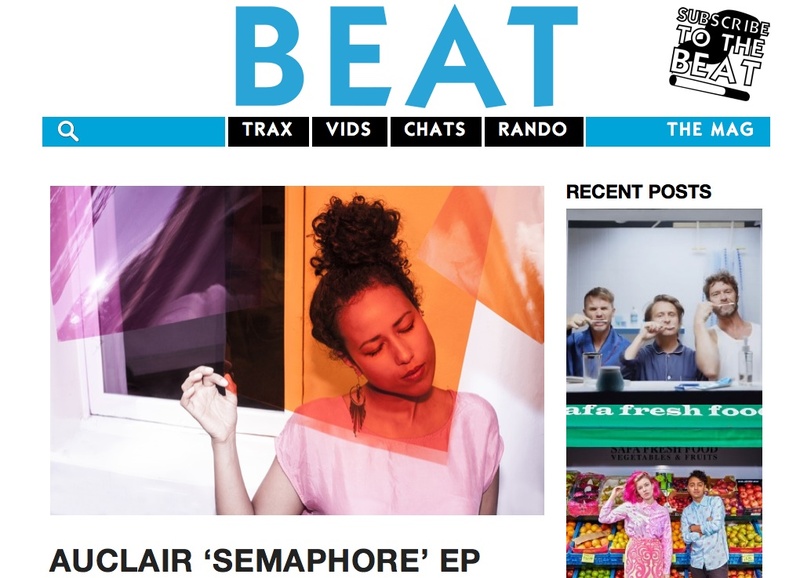 Steam Auclair’s new EP ‘Semaphore’ thanks to BEAT Magazine. 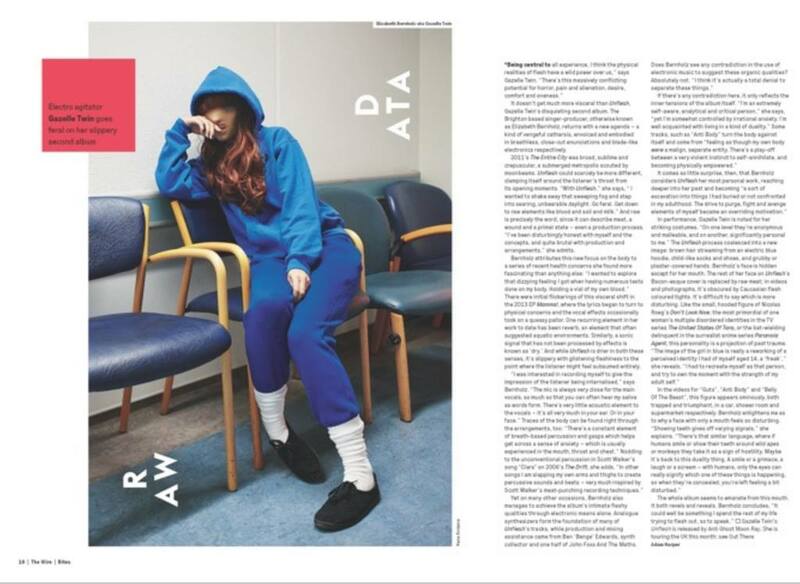 Gazelle Twin feature in The Wire Magazine. 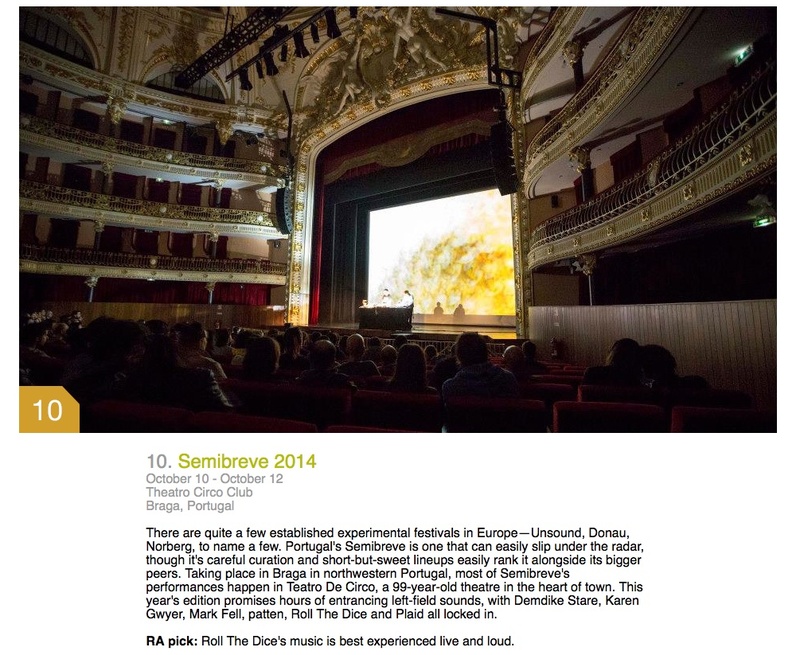 Resident Advisor name Semibreve Festival in their Top 10 Festivals From Around the World in October. 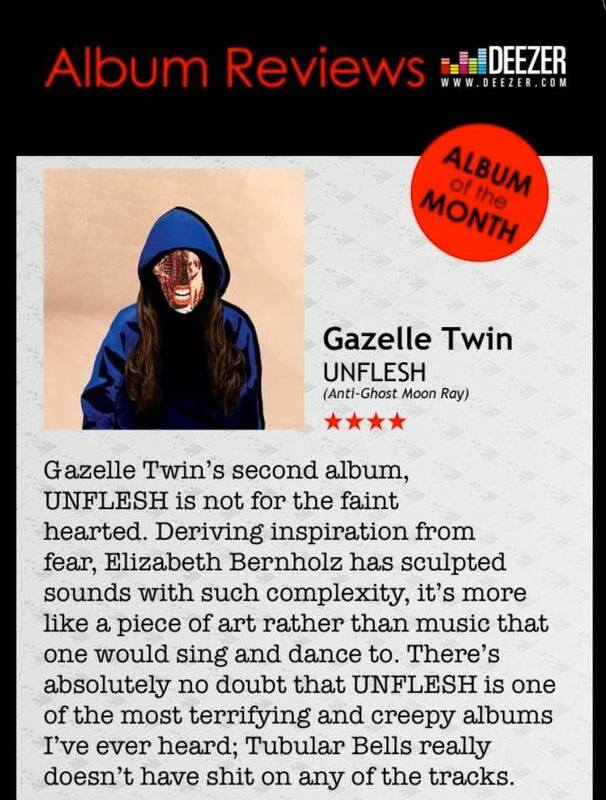 Gazelle Twin’s ‘UNFLESH’ is Album of the Month in Artrocker Magazine. 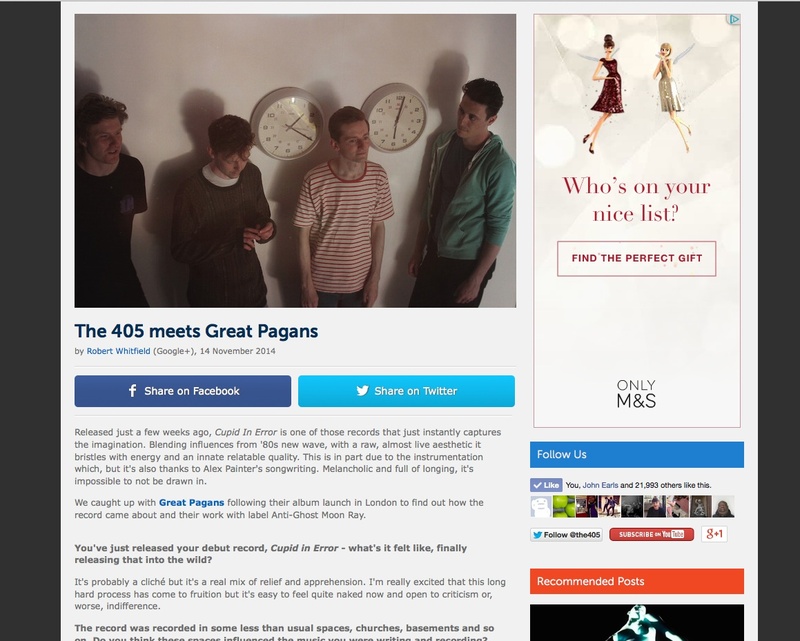 Great Pagans feature in NME’s Radar. 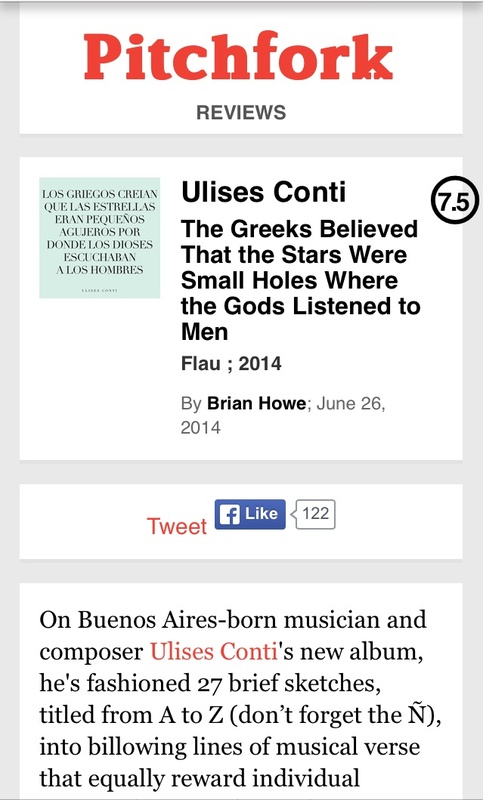 Pitchfork review Ulises Conti’s new album ‘Los Griegos creían que las estrellas eran pequeños agujeros por donde los dioses escuchaban a los hombres’. Electronic Sound Magazine interview Gazelle Twin. 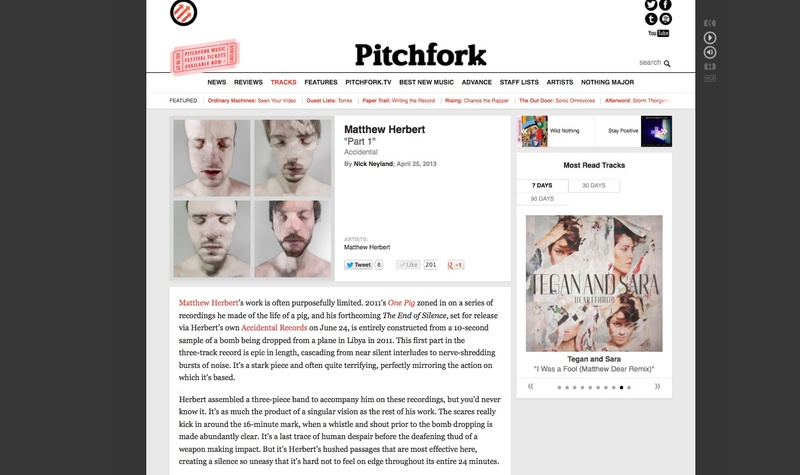 Herbert’s new song ‘One Two Three’ has received fantastic online support from Pitchfork, Resident Advisor, Exclaim!, Data Transmission, XLR8R, The 405, The Line of Best Fit, FILTER, MusicOMH, Clash, Tiny Mix Tapes, Inverted Audio, The Ransom Note and STEREOGUM. 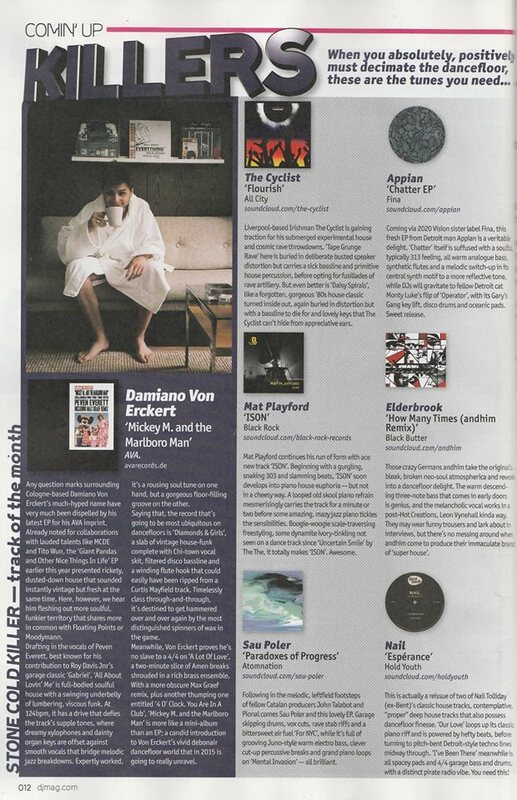 These Ghosts feature in NME Magazine’s Radar. 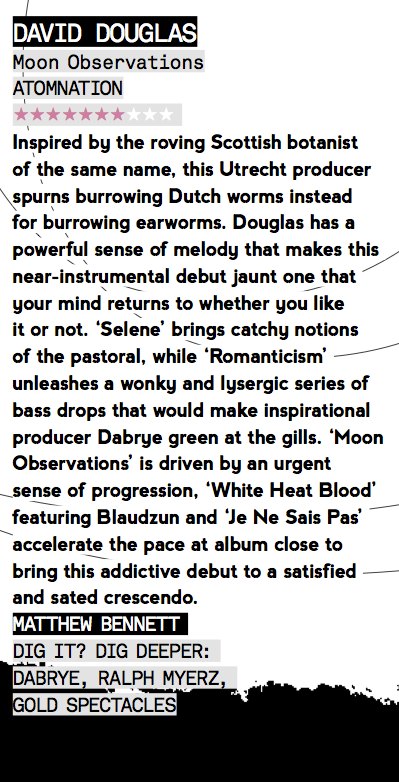 David Douglas’ album ‘Moon Observations’ is reviewed by Clash Magazine. 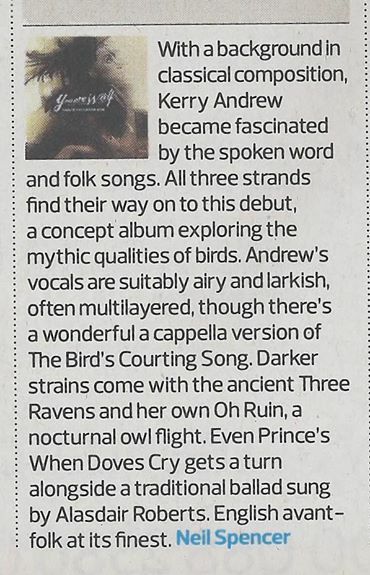 You Are Wolf received a fine review in Sunday’s Observer. Damon Frost continues to pick up positive vibes as he prepares to release his new EP ‘eXPLAIN mY dRIVE’ via Matthew Herbert’s Accidental label. 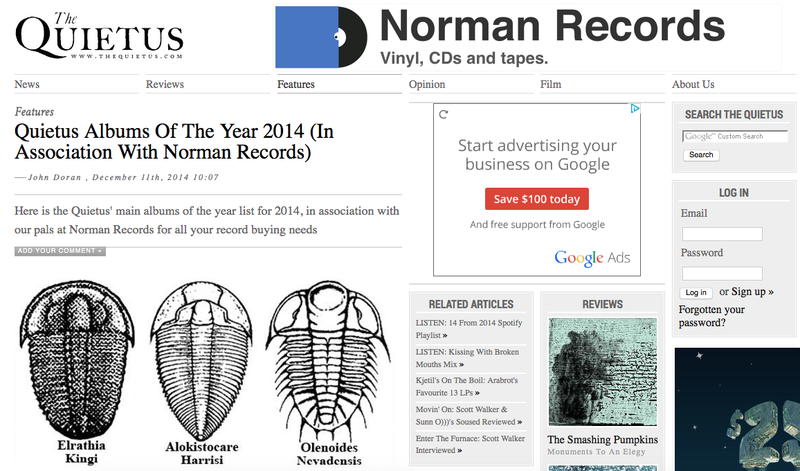 DJ Magazine, The Quietus, i-D Magazine and Clash have made some noise about the record. 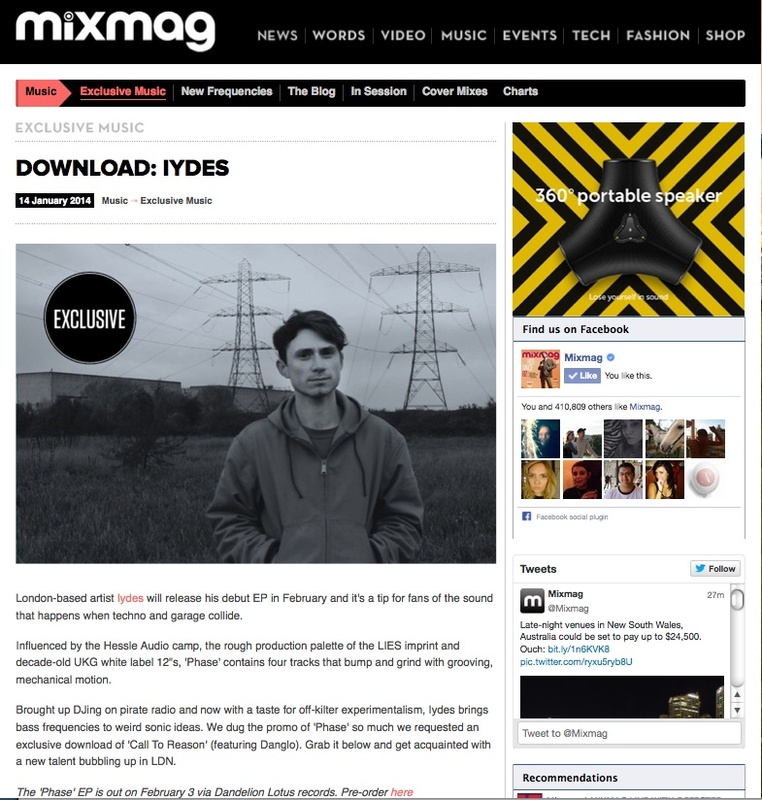 London producer IYDES released his new EP ‘PHASE’ to a rapturous response from NME, Mixmag, Dummy, XLR8R, Data Transmission, i-D Magazine, No Fear of Pop and more. 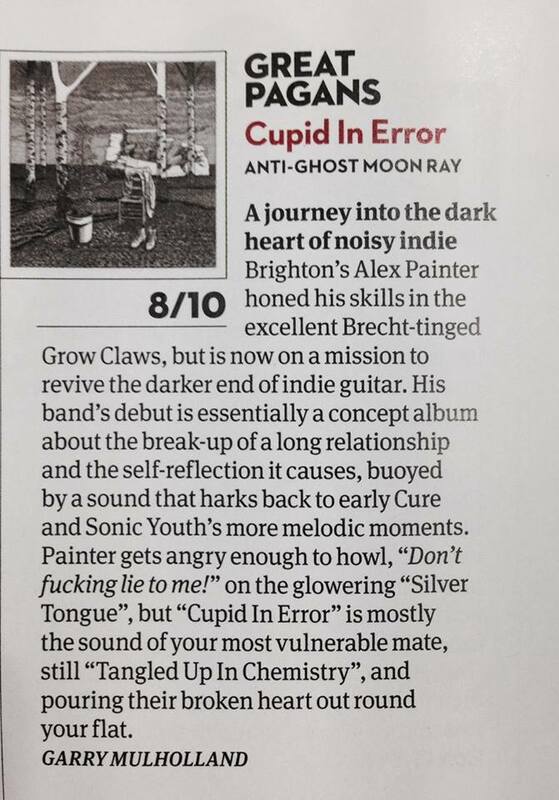 Read NME’s review below. Gazelle Twin continues to pick up a slew of praise for her new single ‘Belly of the Beast’ having premiered the new video with Dazed Digital recently. 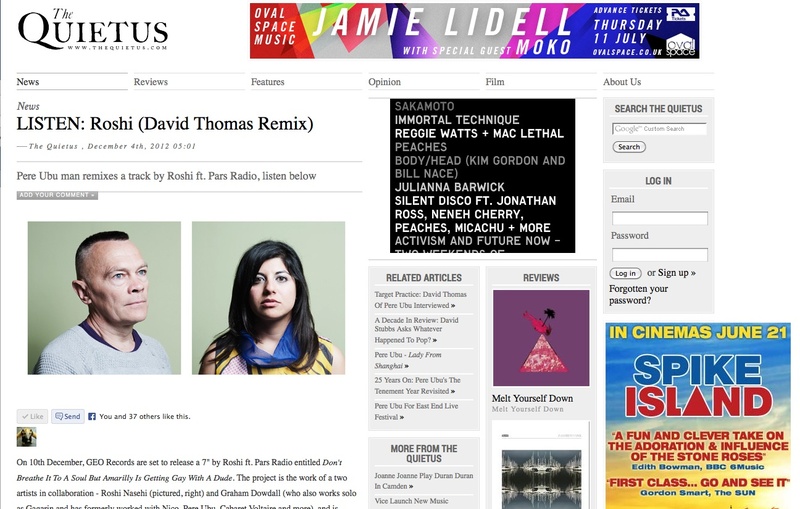 The Fader, Clash Magazine, SPIN Magazine, Artrocker, Q Magazine, XLR8, The Quietus have all featured the new single/video. Love Thy Neighbour released HYPNOTIZED’s EP ‘Telesto’ picking up support from the likes of NME, XLR8R, NYLON, Artrocker, The Line of Best Fit, Clash, IMPOSE, No fear Of Pop, to name but a few. 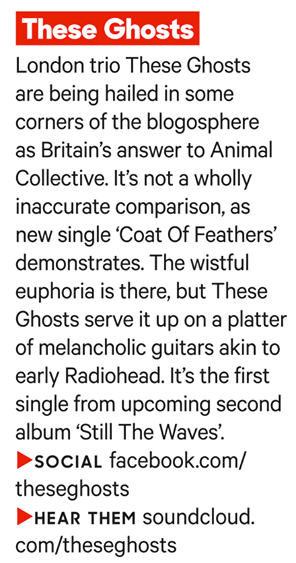 Read NME’s review of the release below. We are pleased to announce we are working on the new single ‘Belly of the Beast’ by Brighton-based avant-pop artist Gazelle Twin. 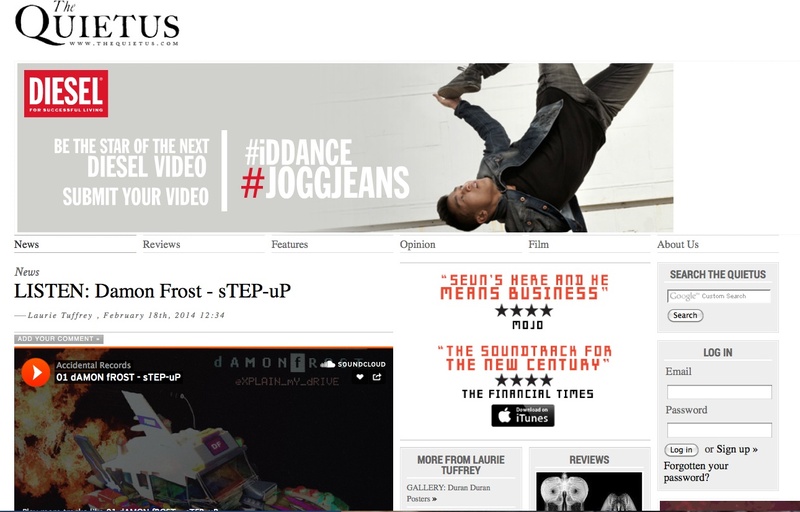 You can check out her new video over at Dazed and Confused. ‘Belly of the Beast’ will be released via Anti-Ghost Moon Ray Records on March 3rd. 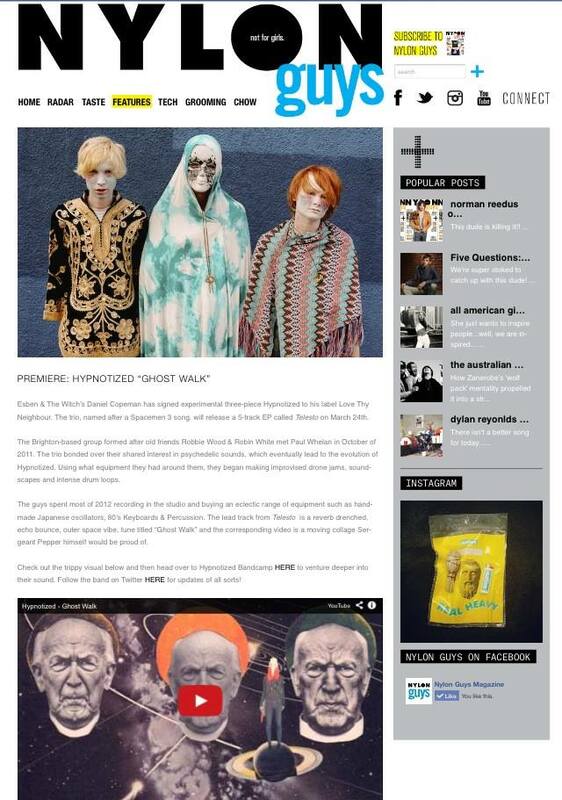 We are thrilled to welcome UK-based trio HYPNOTIZED to TYPE’s roster. 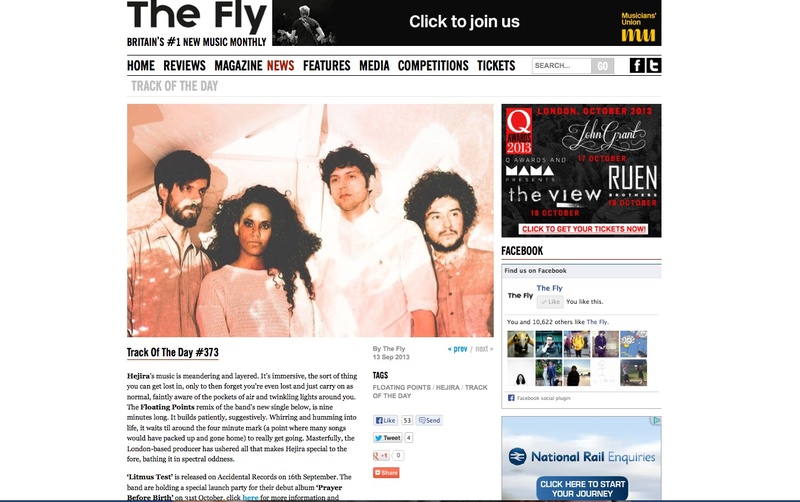 Check out their debut track ‘Ghost Walk’ that premiered over at NYLON Guys Magazine. 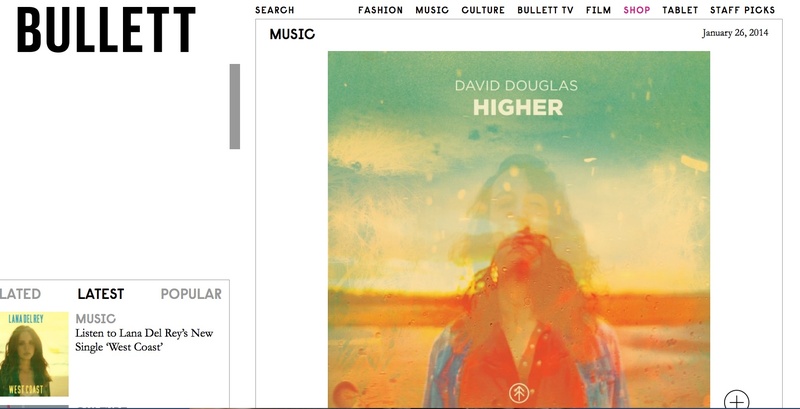 Both BULLET Magazine and THUMP/Vice get behind the new EP ‘Higher’ by David Douglas. 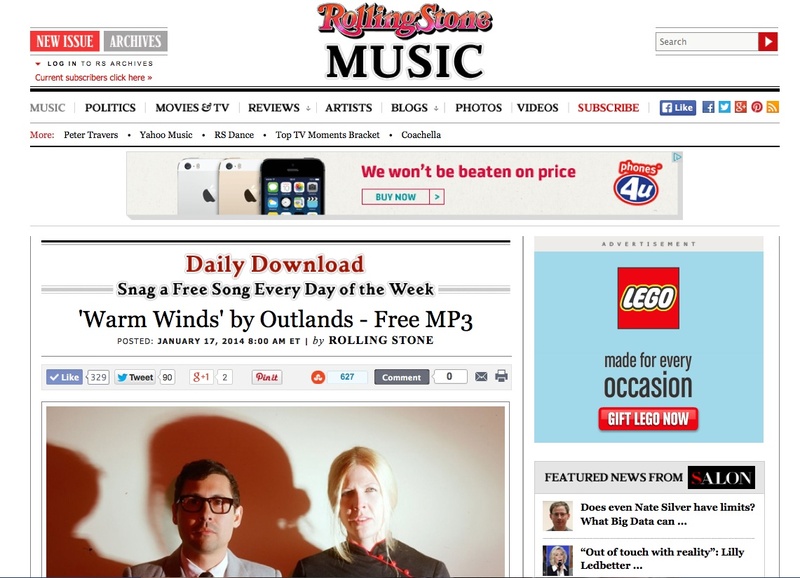 LA-based duo OUTLANDS offer up a free download of their soothing song ‘Warm Winds’ thanks to Rollingstone Magazine. 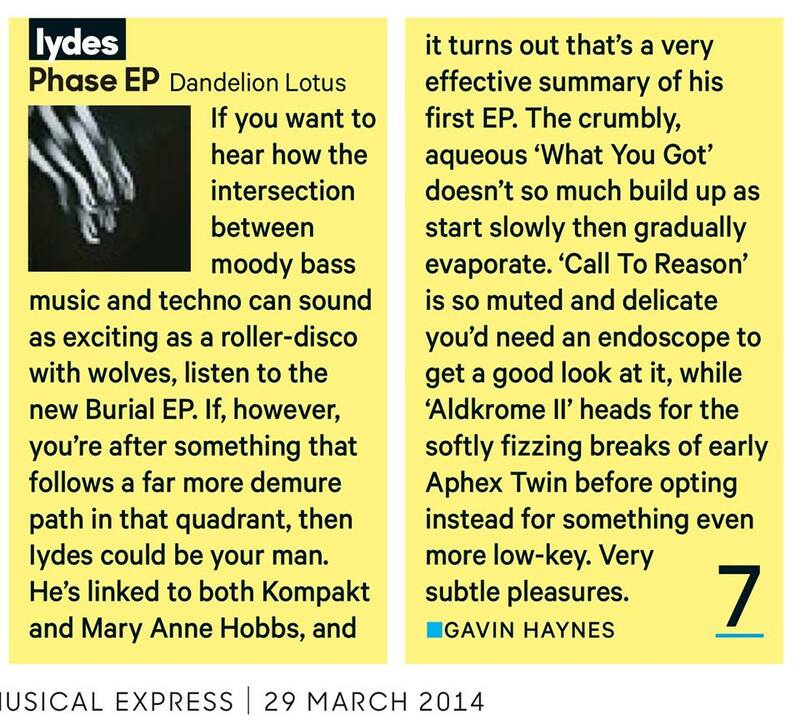 London producer, IYDES will release his new EP ‘PHASE’ with Dandelion Lotus Records on March 31st. 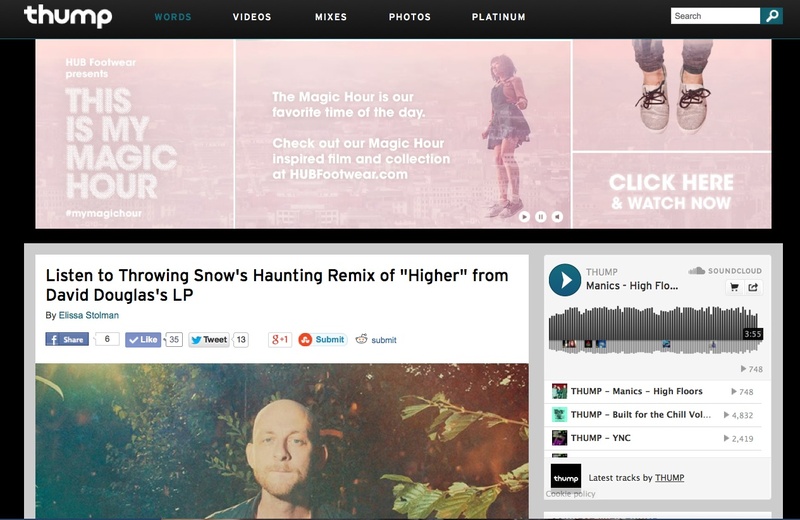 Mixmag offer the fist listen to EP track ‘Call To Reason (feat. Danglo)’. 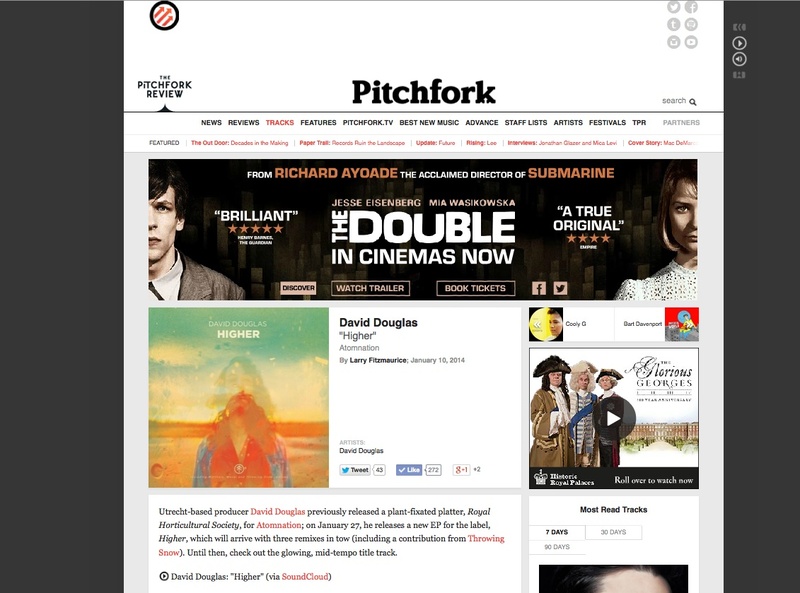 David Douglas’ ‘Higher’ is featured in Pitchfork Tracks. 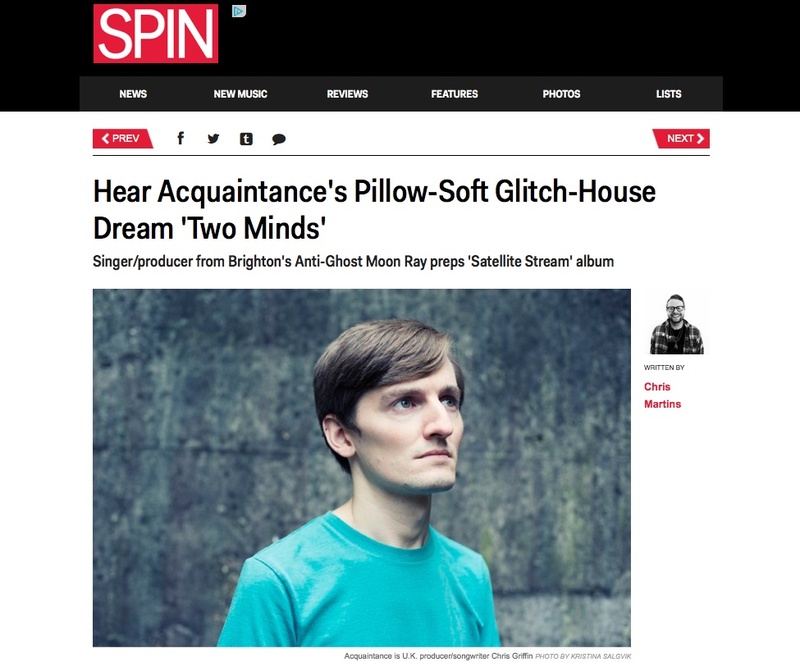 Acquaintance’s lush new song ‘Two Minds’ debuts over at SPIN Magazine. 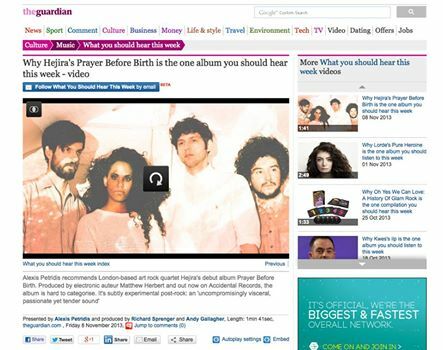 Hejira’s ‘Prayer Before Birth’ is The Guardian’s “The One Album You Should Hear This Week‘. 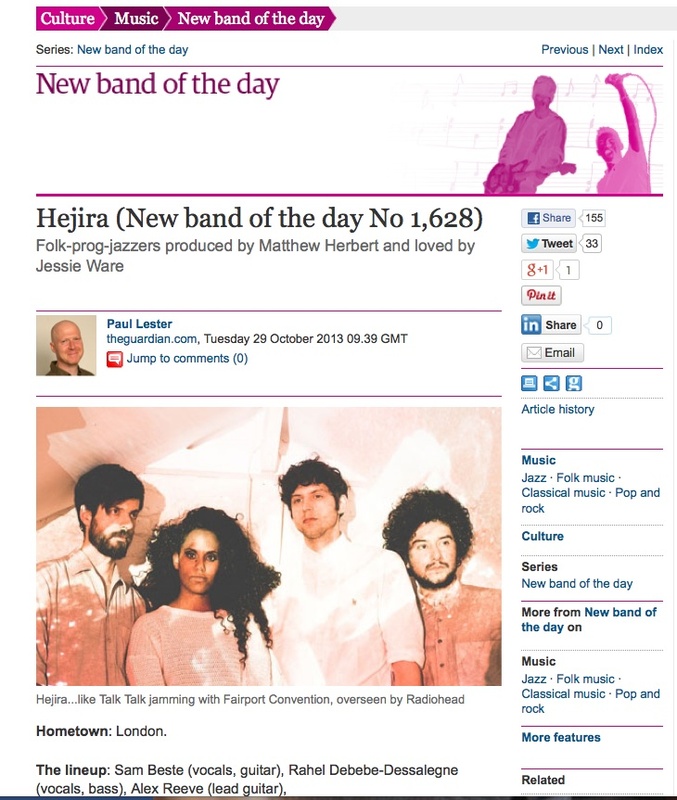 Hejira have also been named The Guardian’s New Band of the Day by Paul Lester. 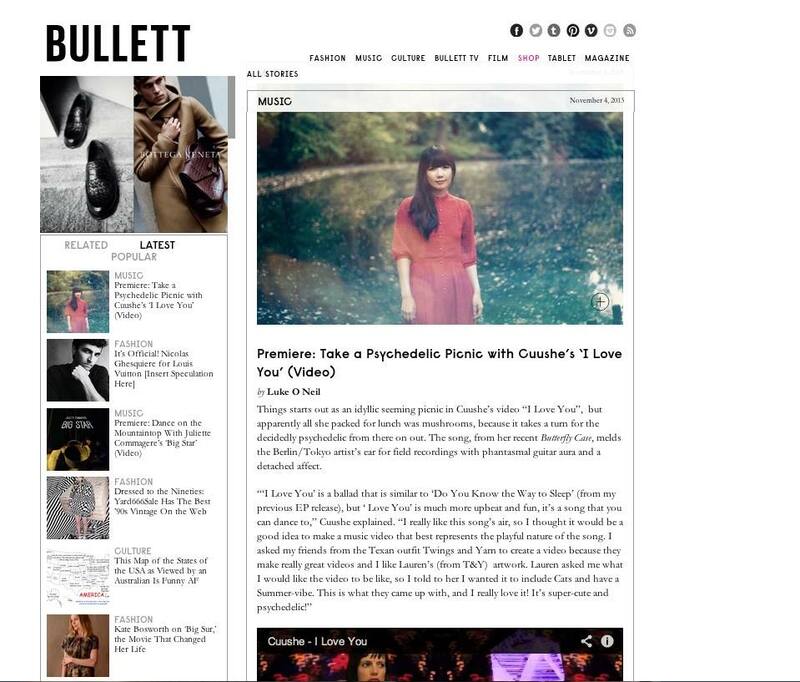 BULLET Magazine premier Cuushe’s video ‘I Love You’. 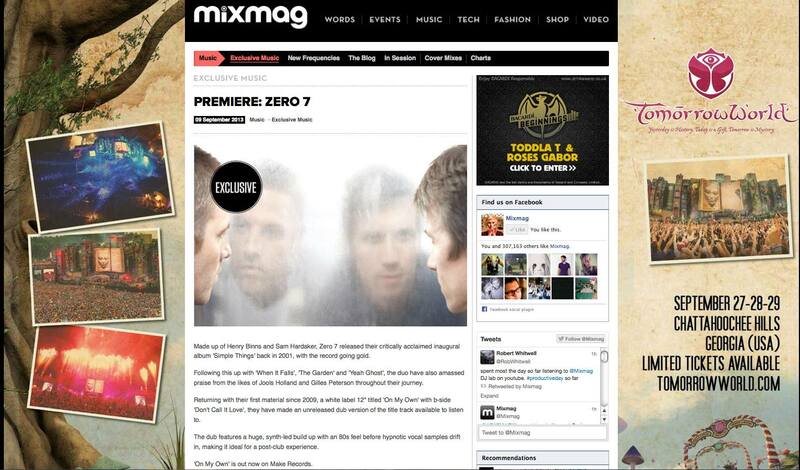 Zero 7 featured in Mixmag and DJ Magazine. 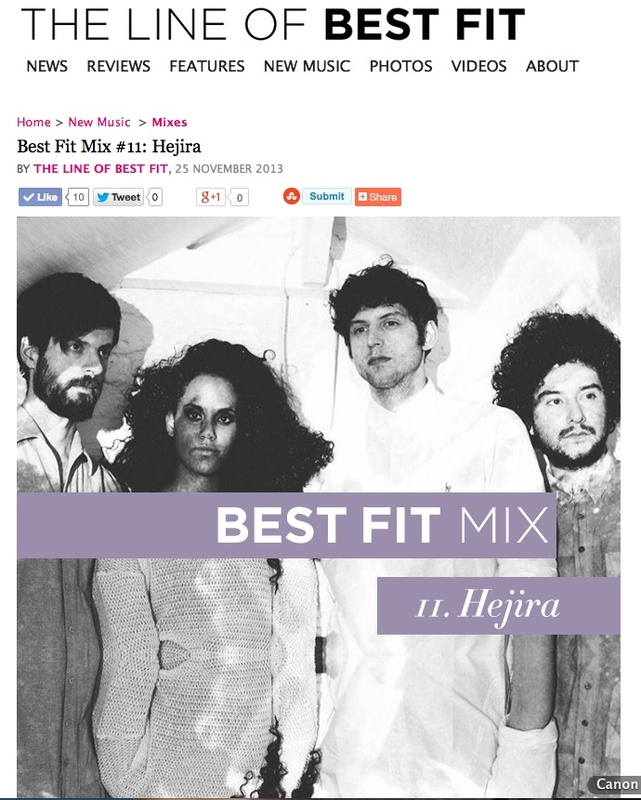 Hejira curate a special mix for The Line of Best Fit. 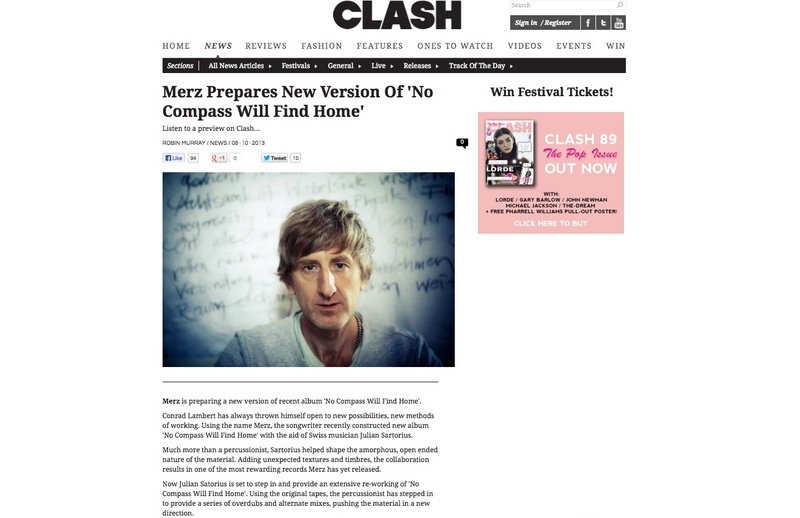 Contemporary British balladeer Merz, will release a Julian Sartorius Drum & Vocal reinterpretation of his acclaimed album ‘No Compass Will Find Home’ on 18th November via Everestrecords and Accidental Records. Listen to the lead song ‘Toy’ over at Clash Magazine. 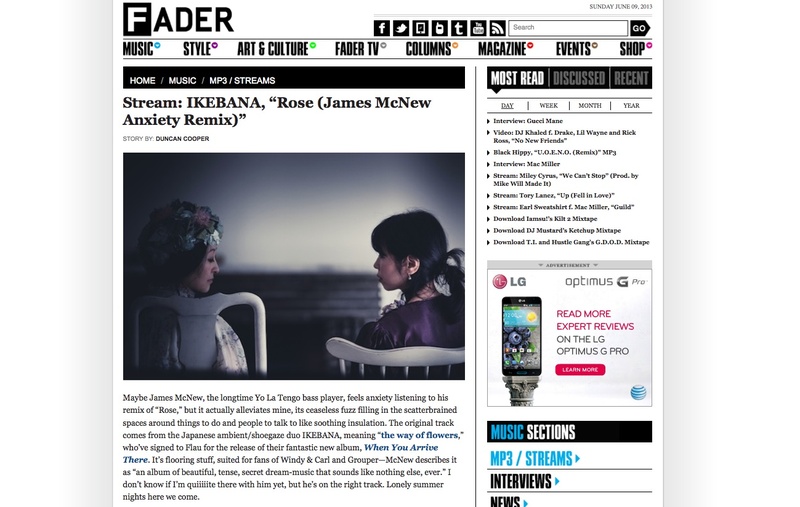 Hejira unveil their new video ‘Litmus Test’ thanks to renowned creative portal NOWNESS. Take a one-take tour through Hejira‘s mesmerising House of Dreams. We are pleased to welcome UK-based producer Acquaintance to the TYPE fold. Acquaintance will release his EP ‘Parapsychology’ on November 4th by Anti-Ghost Moon Ray Records. 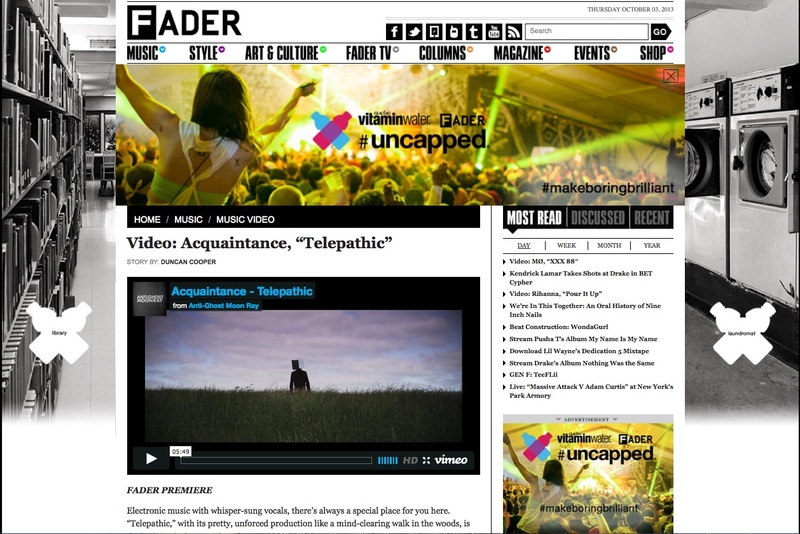 You can watch the new video for single ‘Telepathic’ over at The Fader. 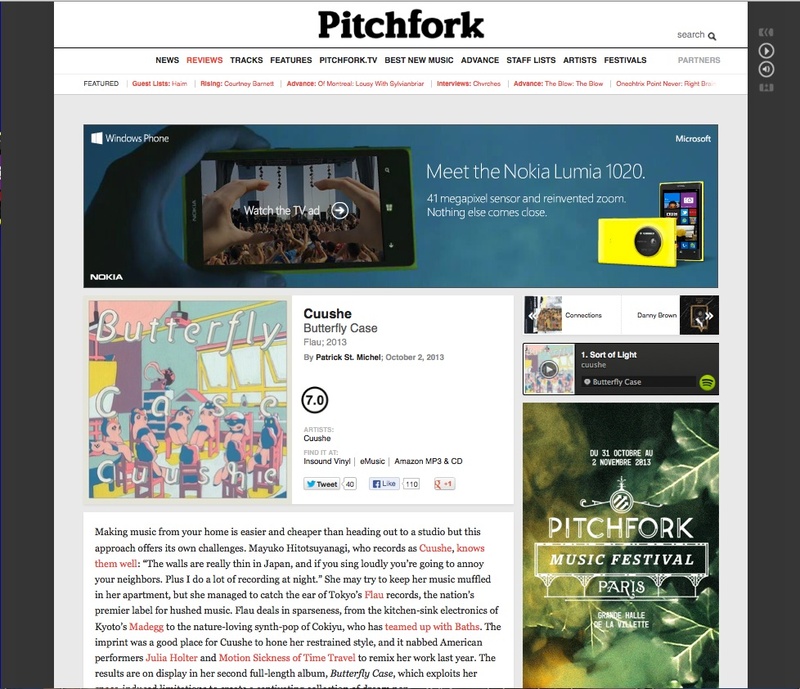 Cuushe’s amazing new album ‘Butterfly Case’ receives a glowing review from Pitchfork. Portuguese producer Tar Feather releases his new album ‘Heavy Metals’ on 30th September thanks to Easy Pieces. 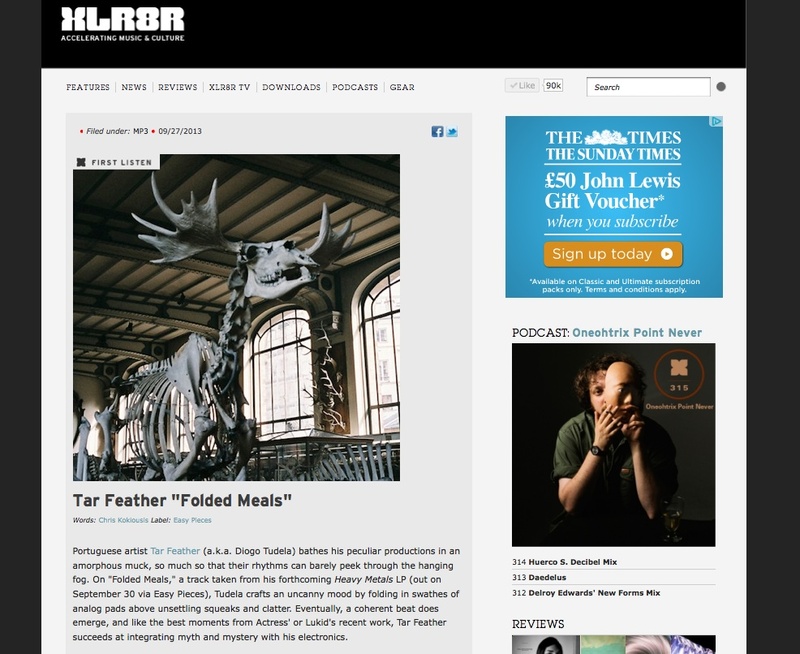 You can stream the new cut ‘Folded Meals’ on XLR8R. Portuguese festival of progressive audio visual art and electronic music, Semibreve, returns in 2013 with a brilliant line up that features the world premier of Philip Jeck & Lol Sargent’s 20th anniversary reworking of ‘Vinyl Requiem’ + Forest Swords, The Haxan Cloak, Raime, Helm, Atom TM and more. 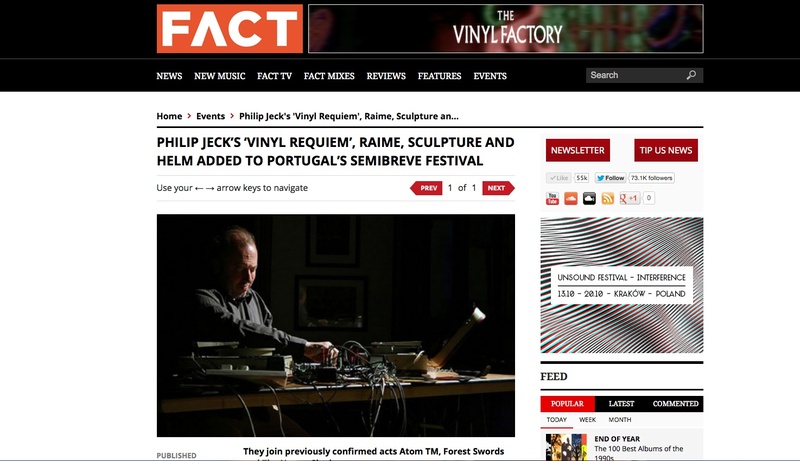 You can read more about Philip Jeck’s ‘Vinyl Requiem’ over at Hunger TV and further details of semibreve via FACT Magazine. 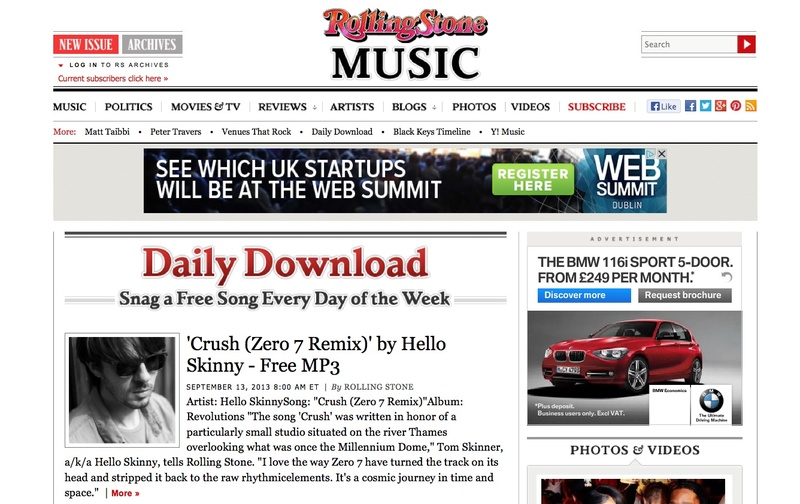 RollingStone offer us the first listen to Zero 7‘s splendid reworking of Hello Skinny‘s bass-crunching track ‘Crush’. 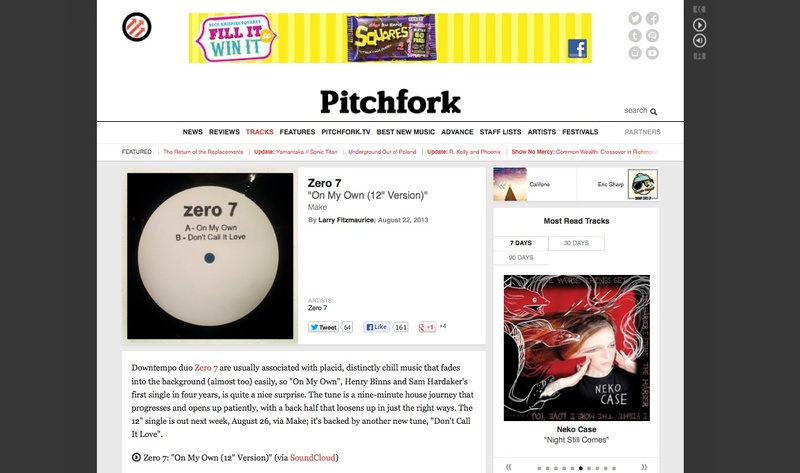 British duo Zero 7 announce the release of a new 12-inch single called ‘On My Own’ on August 26th. The limited vinyl and digital release will be the first new material by the pair since 2009’s ‘Yeah Ghost’ album. 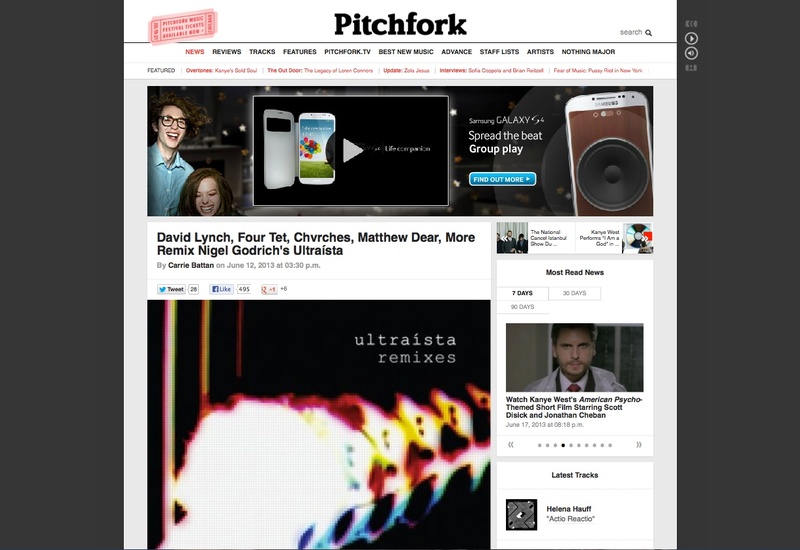 You can stream the first cut ‘On My Own’ from the single over at Pitchfork. 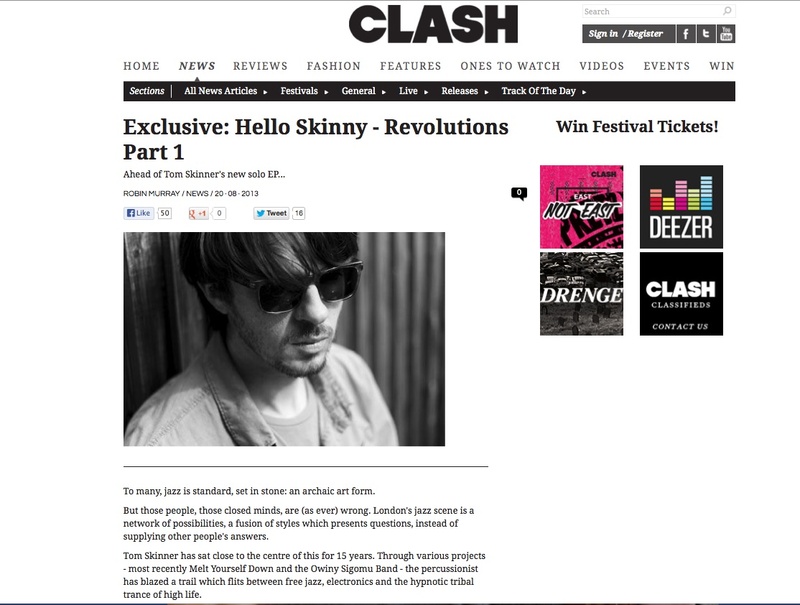 We are chuffed to be working alongside Hello Skinny again as he returns to the airwaves and interweb with a new EP called ‘Revolutions’. The limited 12-inch and download will be available via Slowfoot Records on September 9th. 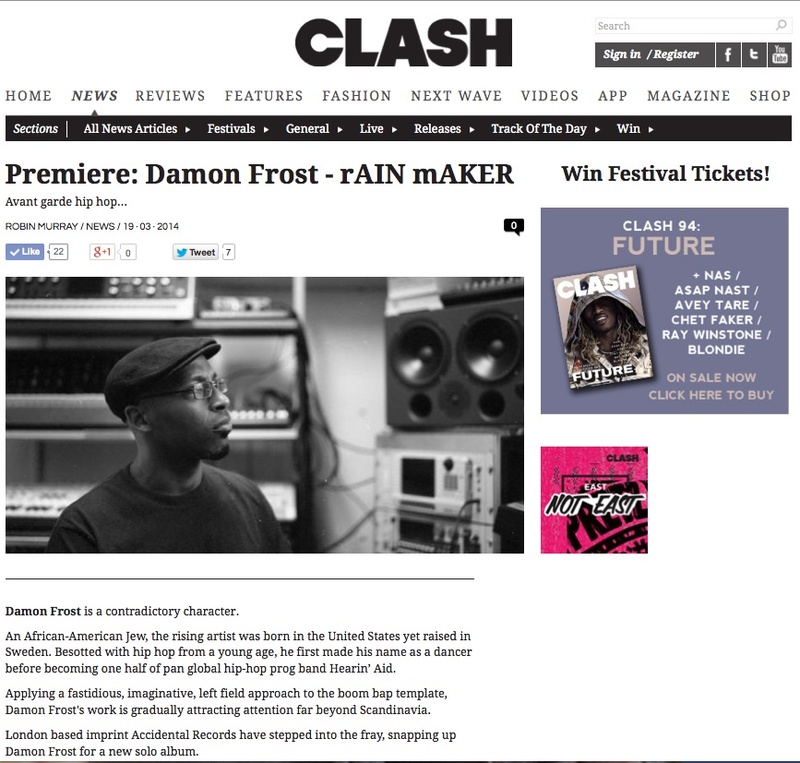 You can stream the first cut from the EP over at Clash Magazine now. 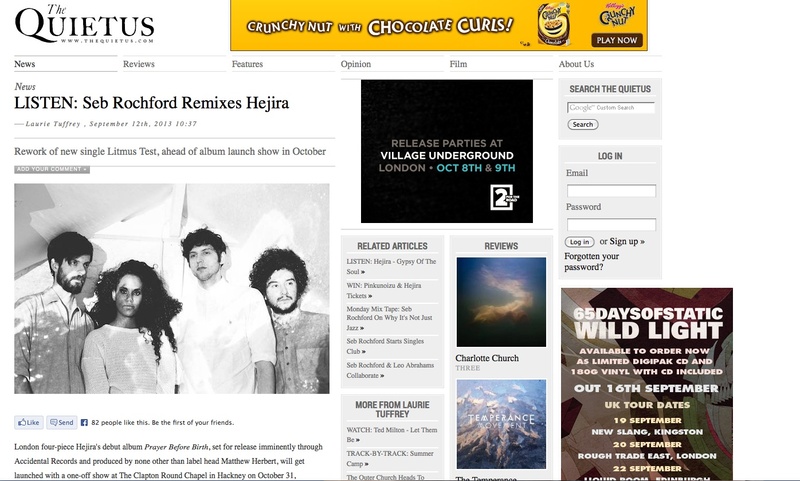 Accidental Record‘s announce their newest signing Hejira. The London four-piece will release a 12-inch single ‘Litmus Test’ on September 16th, with their debut album ‘Prayer Before Birth’ to follow on October 21st. 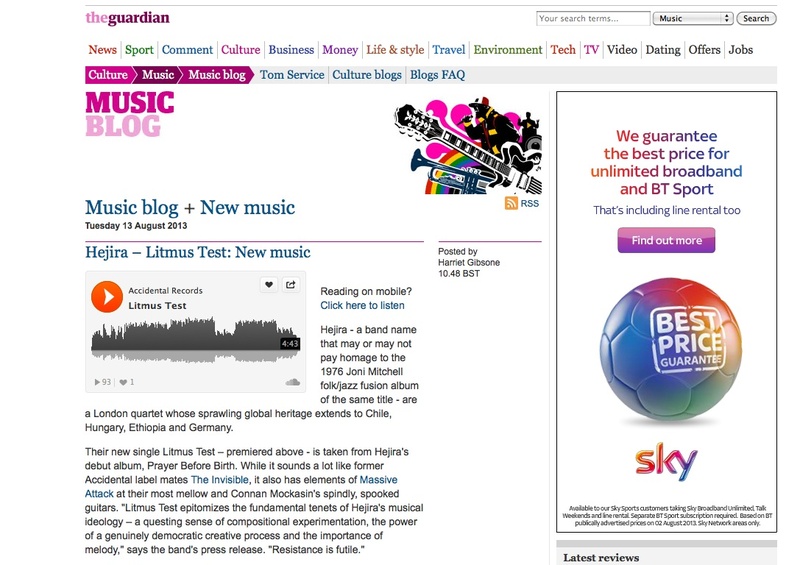 Head over to The Guardian, where you can stream the single Litmus Test’ now. 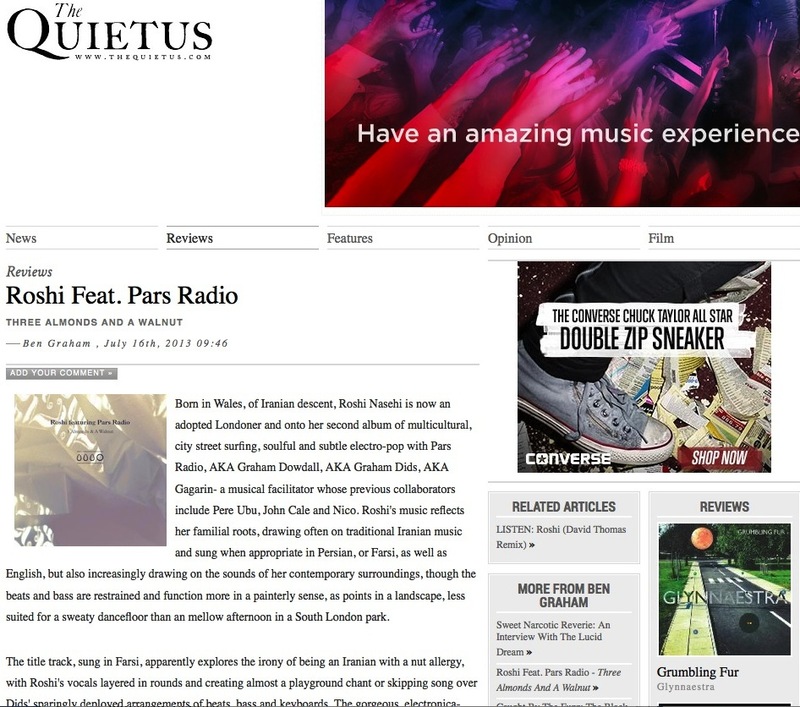 As well as receiving a well-deserved 4/5 from the Independent, Roshi feat Pars Radio have picked up online plaudits including this splendid review by The Quietus. Japanese pop sensation Cuushe unveiled her stunning new video ‘Airy Me’ thanks to Dazed and Confused Magazine. The song ‘Airy Me’ featured on Cuushe’s debut album Red Rocket Telepathy has now been revisited with a delightful new animation video which also features ‘Steamy Mirror’ taken off her new album Butterfly Case. Animator Yoko Kuno created the animations from over 3000 hand-drawn illustrations over a period of two years. Since it’s online reveal, ‘Airy Me’ has been chosen as a Vimeo Staff Pick and amassed almost 180 000 views in under two weeks across both Vimeo and YouTube video channels. We are very pleased to welcome Helsinki duo Redder to TYPE. Frans Saraste and Vesa Hoikka create dramatic, forlorn and emotive songs that chart the trails of the heart. 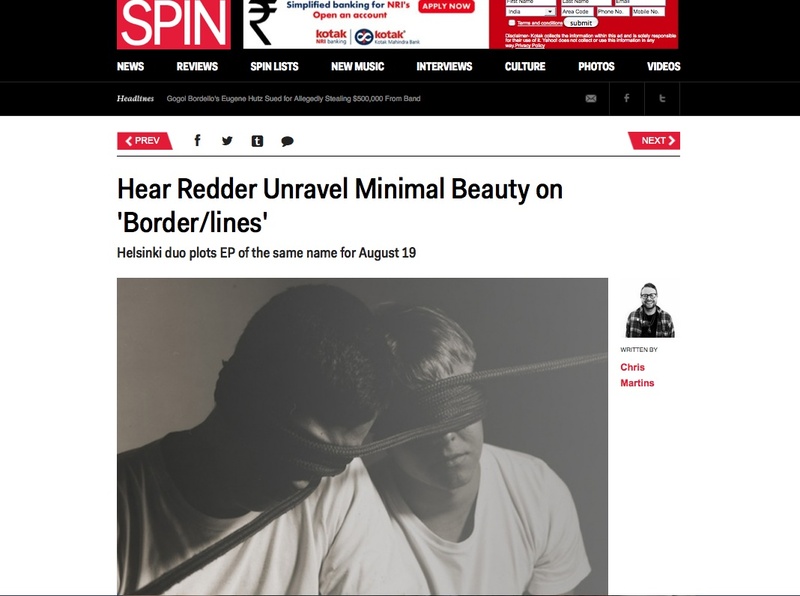 Redder release their EP ‘Border/Lines’ on August 19th. 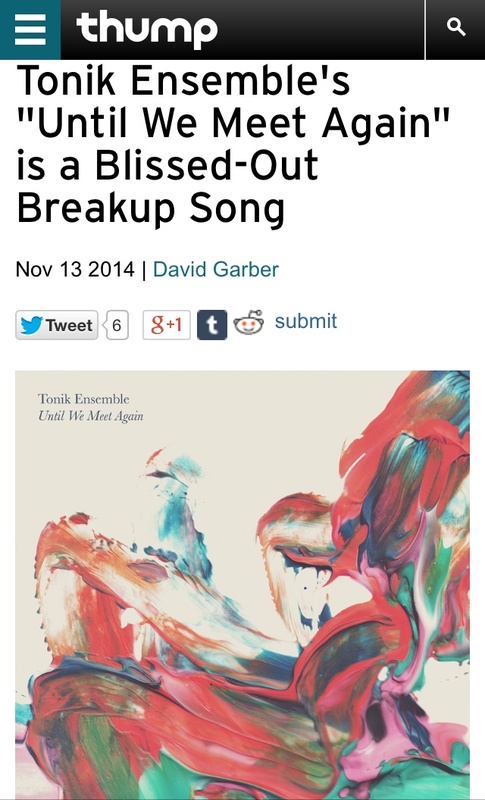 In the mean time, you can listen to and download the EP title track over at SPIN Magazine. 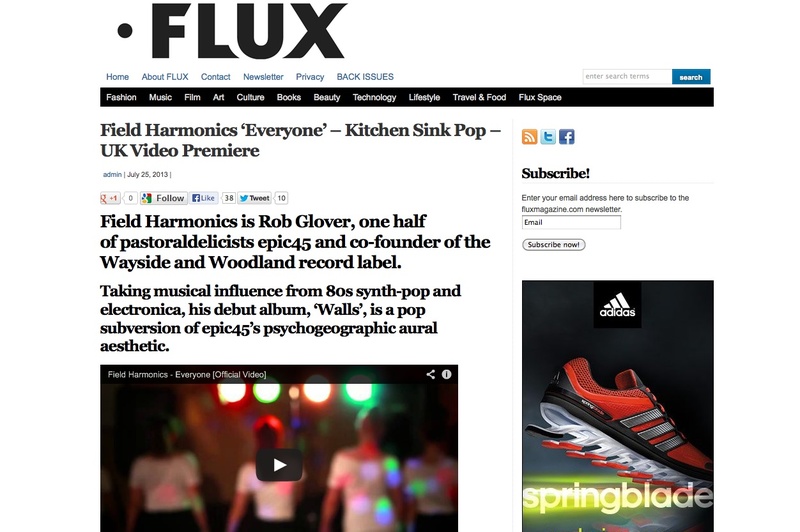 Epic45 member Rob Glover unveiled the new video for his song ‘Everyone’ under his solo guise Field Harmonics thanks to Flux Magazine. 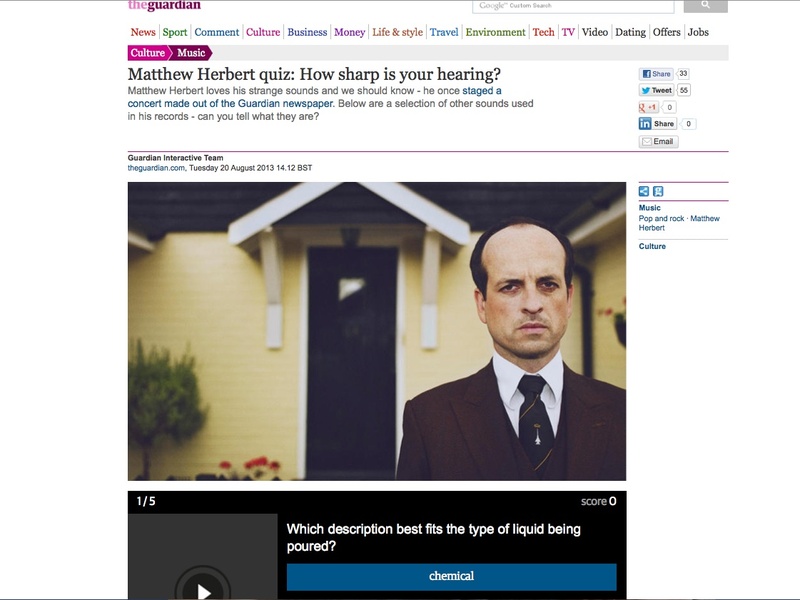 Matthew Herbert spoke to Exclaim! 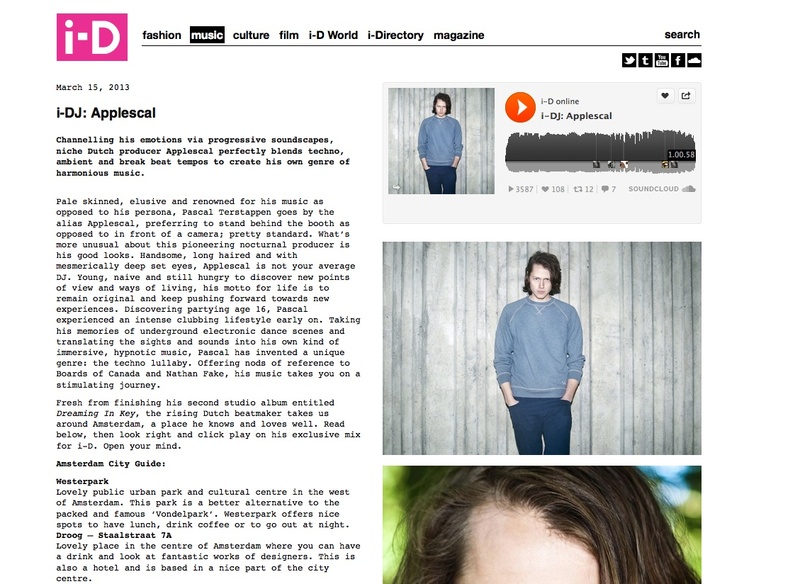 Magazine about his new album ‘The End of Silence’ for their new Summer print issue. You can read the entire feature online HERE. 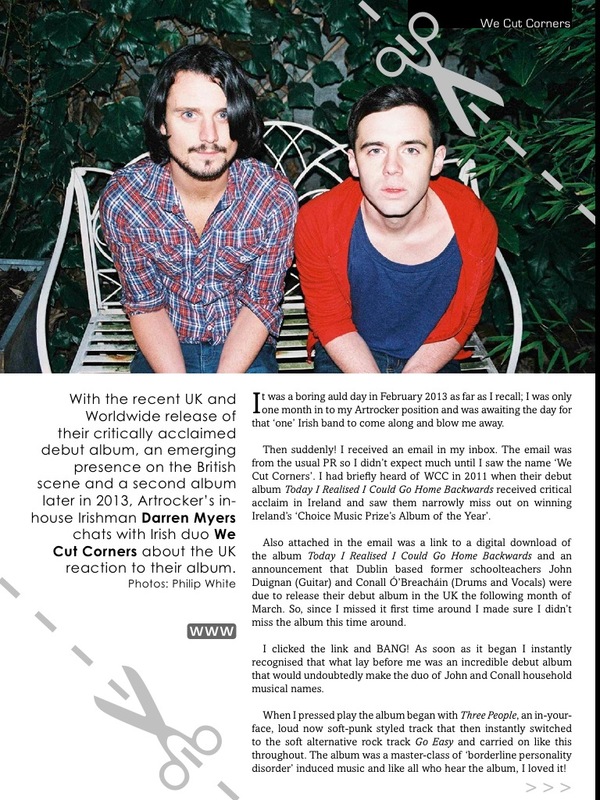 We Cut Corners spoke to Artrocker Magazine and you can read the full 3-page feature in their new tree-friend issue. 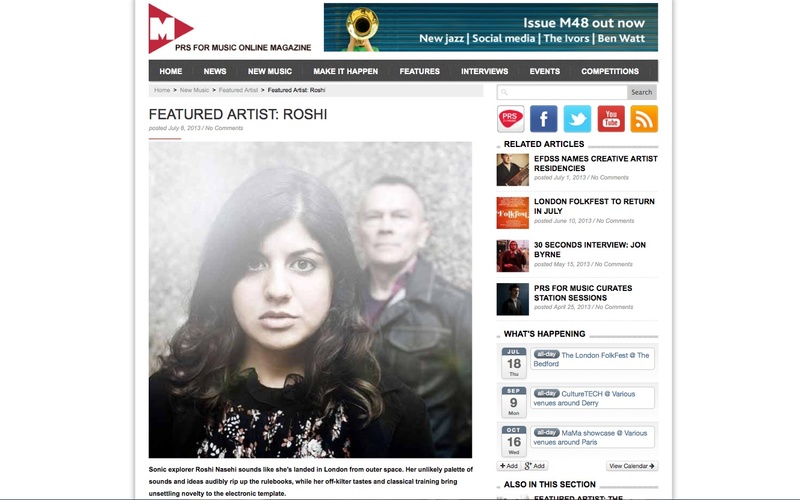 Roshi is PRS For Music’s M Magazine’s Artist of the Week. TYPE is very happy to announce that Portuguese festival, Semibreve, will return for a third edition in 2013. Read more about the first names announce over at FACT Magazine. 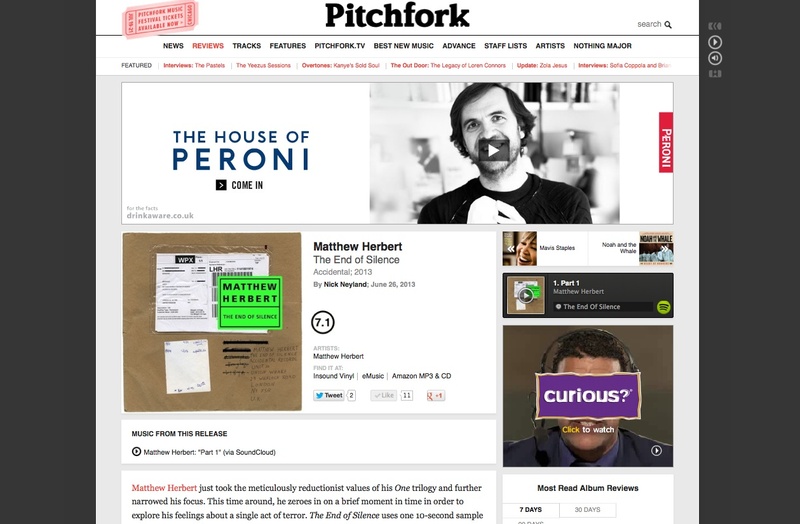 Matthew Herbert’s ‘The End of Silence’ review by Pitchfork. 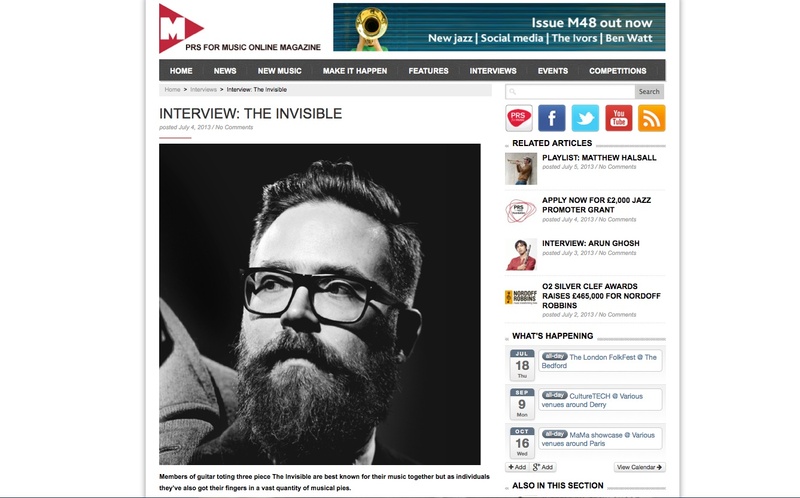 PRS Magazine spoke to Tom Herbert from The Invisible about his jazz roots and how these sounds feed directly into his pop band’s songwriting process. 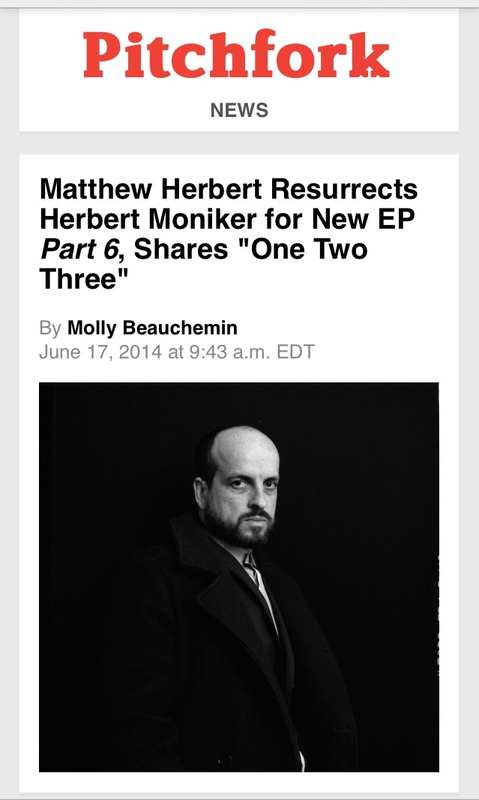 Matthew Herbert released his new work ‘The End of Silence’ on June 24th via Accidental Records. 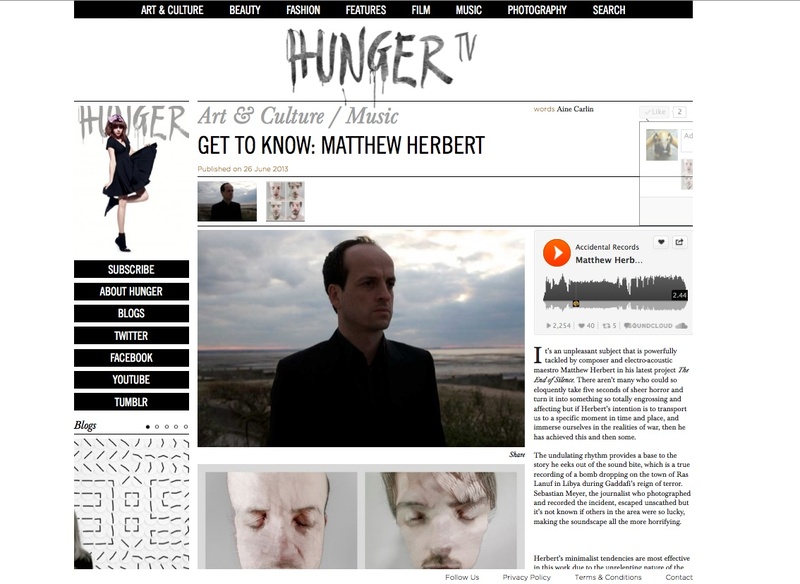 Hunger Magazine pieced together a very interesting feature about Matthew and his new album. Welsh-Iranian singer Roshi featuring Pars Radio (Gagarin | Pere Ubu), have announced their new album ‘Oosh Badaam Ber Goz’, which will be available July 8 on the UK imprint, GEO Records. 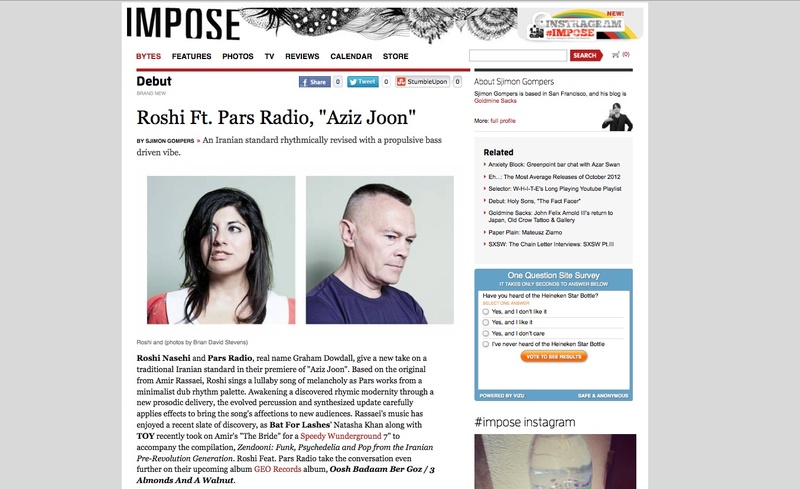 Head over to IMPOSE Magazine, where you can stream their new song ‘Aziz Joon’ now. Dutch label, Atomnation, is celebrating the delivery of their 10th record by releasing a label compilation including tracks by Weval, Applescal, Sau Poler, Gidge and more. 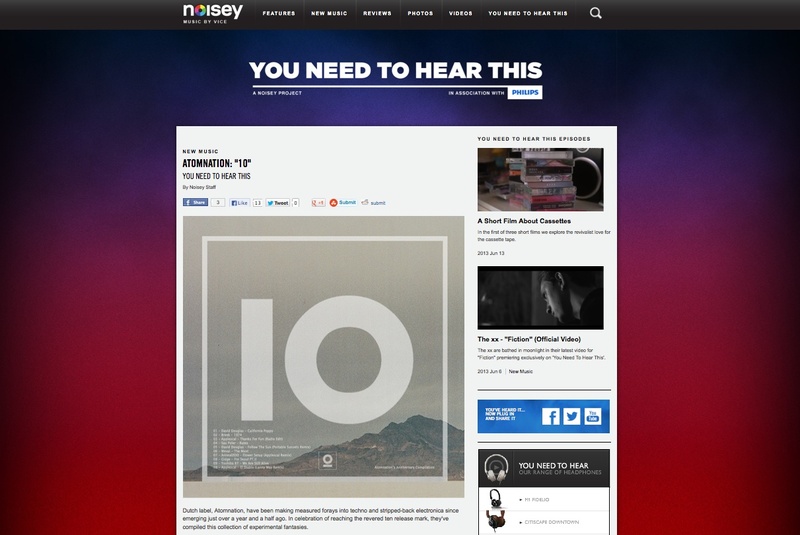 You can stream the album ahead of its official release over at Noisey. The compilation will be released via the label’s Bandcamp on June 17. 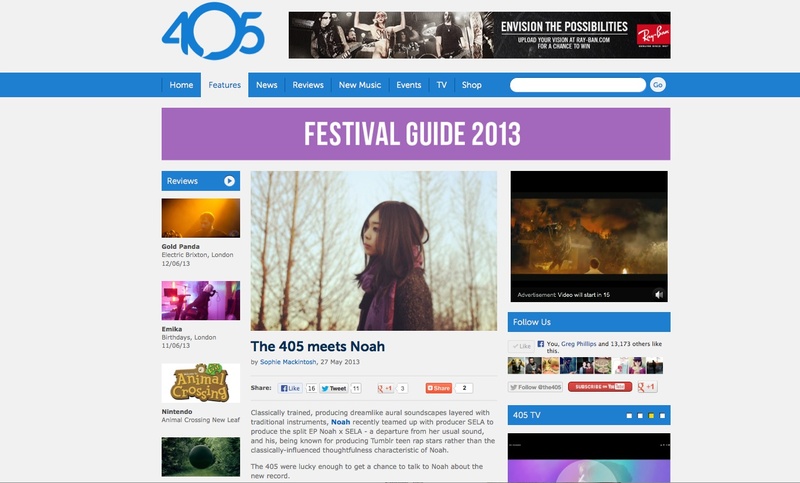 Japanese blogosphere darling, Noah, spoke to The 405 about collaborating with Kitty Pryde producer SELA., the influence of her classical music training in her new work and the cool and sometimes Kawaii Japanese music scene. Read the interview HERE. 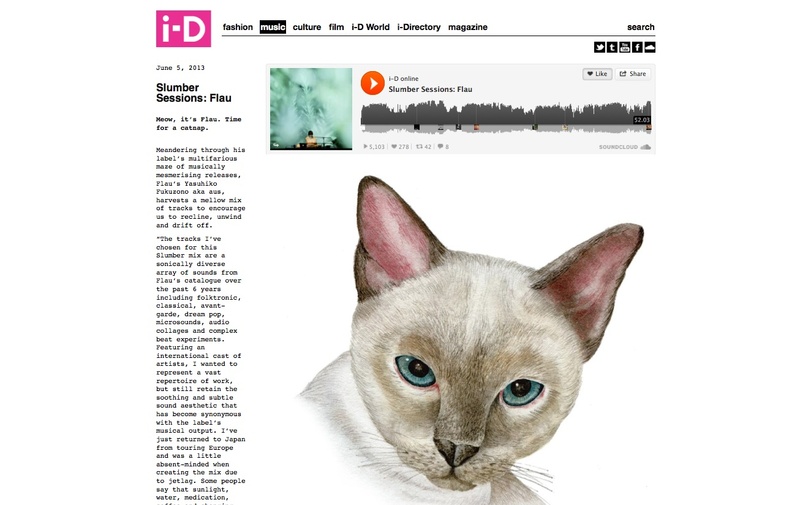 flau label boss, Yasuhiko Fukuzono aka aus, curated a jetlag inspired Slumber Mix for i-D magazine. It features a who’s who of the flau family, including Twigs & Yarn, IKEBANA, Cuushe, Noah and many more. Drift off to it by visiting here. Rob Glover from epic45 is getting set to release his debut album ‘Walls’ as Field Harmonics. 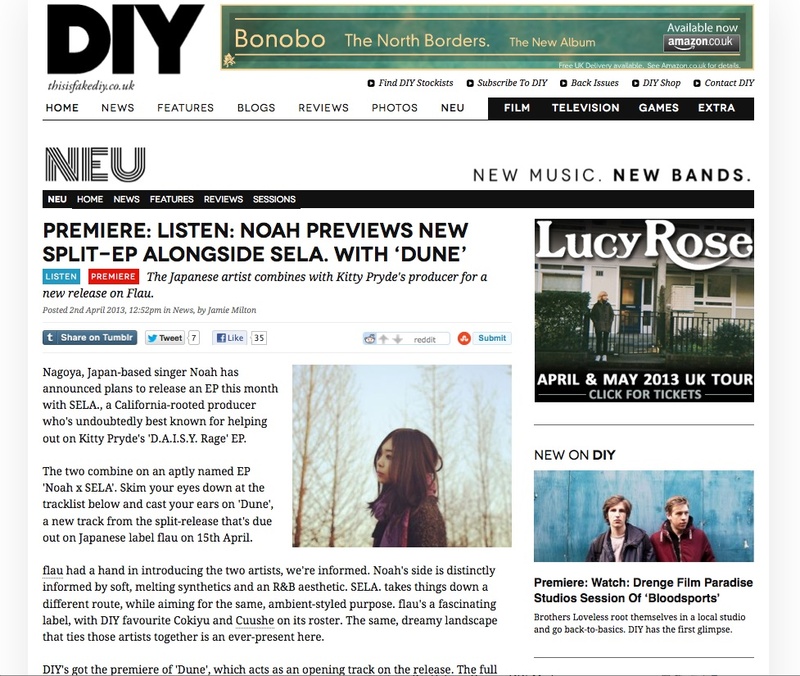 Dummy Magazine got behind the release by streaming the new track ‘Everyone’. 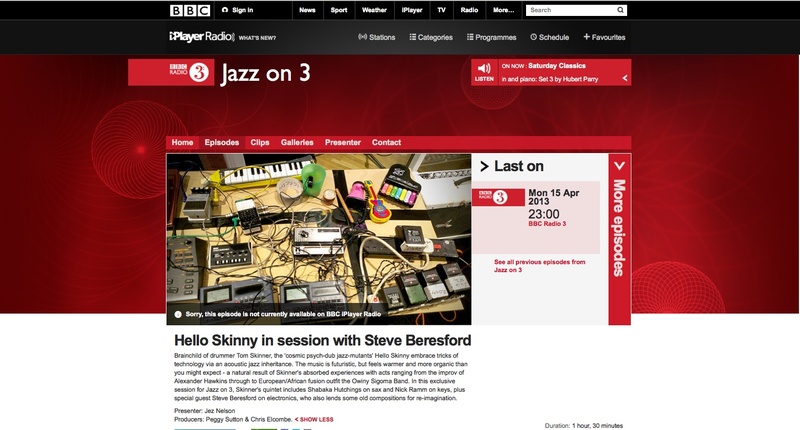 London’s Hello Skinny was invited to perform in session with Jez Nelson for Jazz on 3. Skinner’s quintet includes Shabaka Hutchings on sax and Nick Ramm on keys, plus special guest Steve Beresford on electronics. 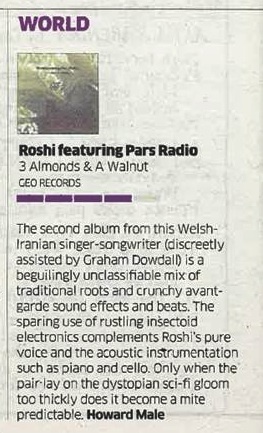 Listen to Pere Ubu’s frontman, David Thomas, rework the stunning first cut ‘Don’t Breathe It To A Soul But Amarilly Is Getting Gay With A Dude’ from Welsh-Iranian avant-pop artist Roshi featuring Pars Radio’s new album ‘3 Almonds And A Walnut’ thanks to The Quietus. 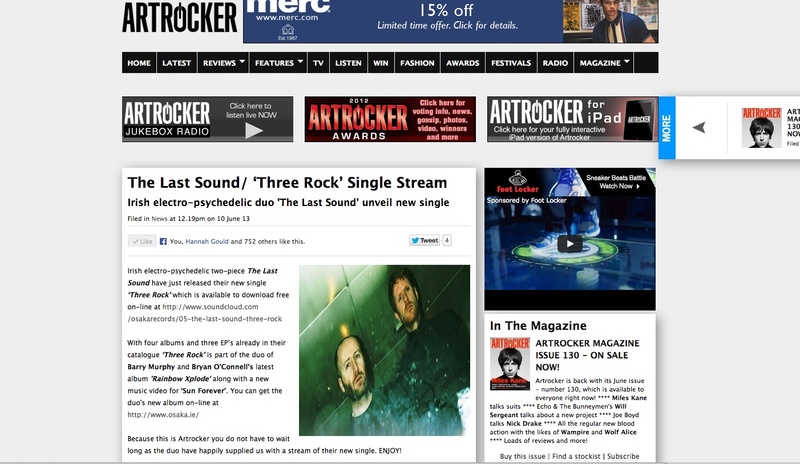 Artrocker Magazine recently premiered the new single ‘Three Rock’ by Irish electro-psychedelic two-piece The Last Sound. The new single is available via OSAKA Records. 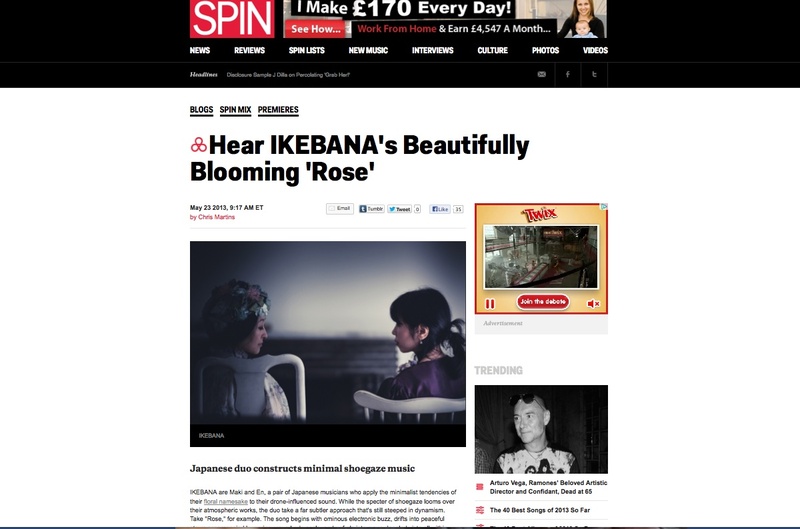 TYPE is chuffed to bits to welcome Japanese shoegaze duo IKEBANA to the press fold. As the secretive pair ready the delivery of their new album ‘When You Arrive There’ on July 8th via flau, you can hear the first cut ‘Rose’, to be taken from the album over at SPIN Magazine, and a remix by Yo La Tengo’s James NcNew over at The FADER. 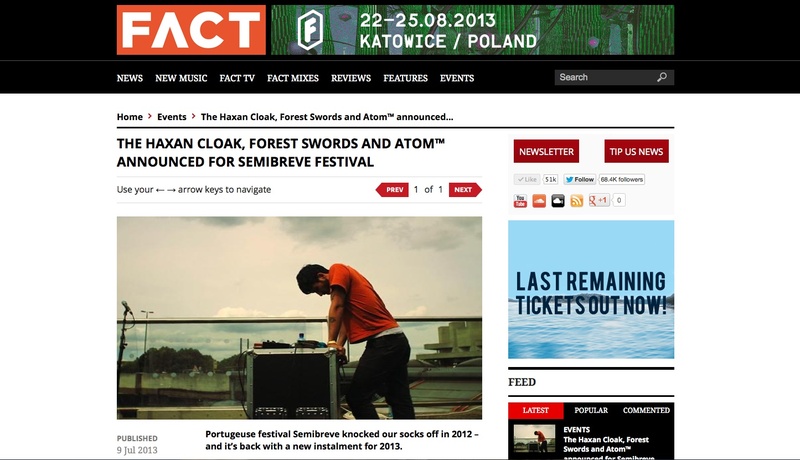 Dazed and Confused Magazine name SEMIBREVE Festival as one of The world’s 26 most unreal festivals and gatherings. The Independent chat to Simon Deacon, Director of Popular Music Performance at Goldsmiths about the new label partnership between accidental Records and Goldsmiths called NX Records. Accidental & Goldsmiths, in conjunction with PureGold Festival, present the official launch of NX Records on Thursday 9th May at The Queen Elizabeth Hall from 6pm – 10.30pm. 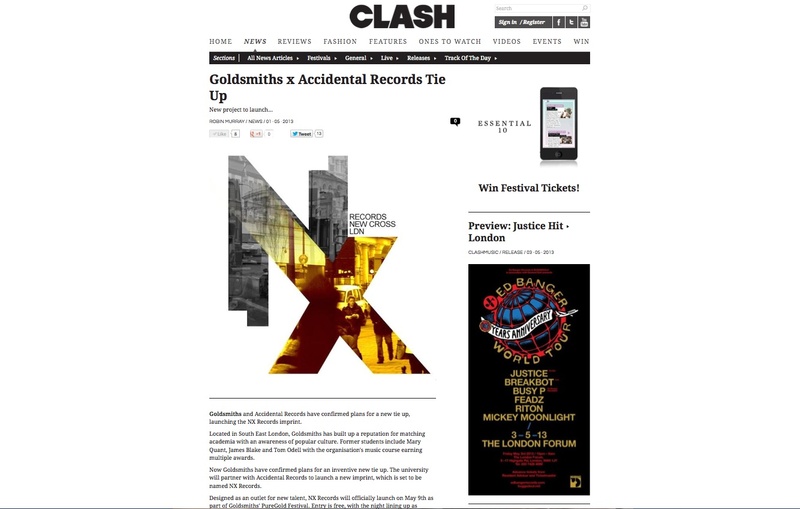 Clash Magazine reveal details of the new collaboration between Goldsmiths, University of London and Accidental Records. 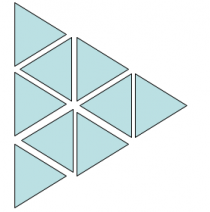 The university will partner with Accidental Records to launch a new imprint, which is set to be named NX Records. Designed as an outlet for new talent, NX Records will officially launch on May 9th as part of Goldsmiths’ PureGold Festival. Entry is free. More details can be found here. London three-piece, The Invisible featuring Jessie Ware’s producer Dave Okumu, have revealed details of the reissue of their 2009 debut album on 12-inch via Accidental Records. 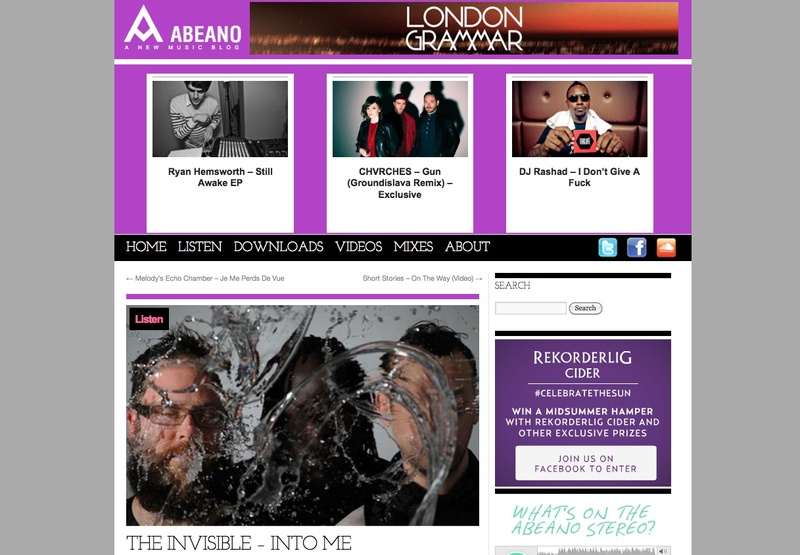 Included on the double vinyl is a brand new song called ‘Into Me’, which you can stream over at ABEANO. 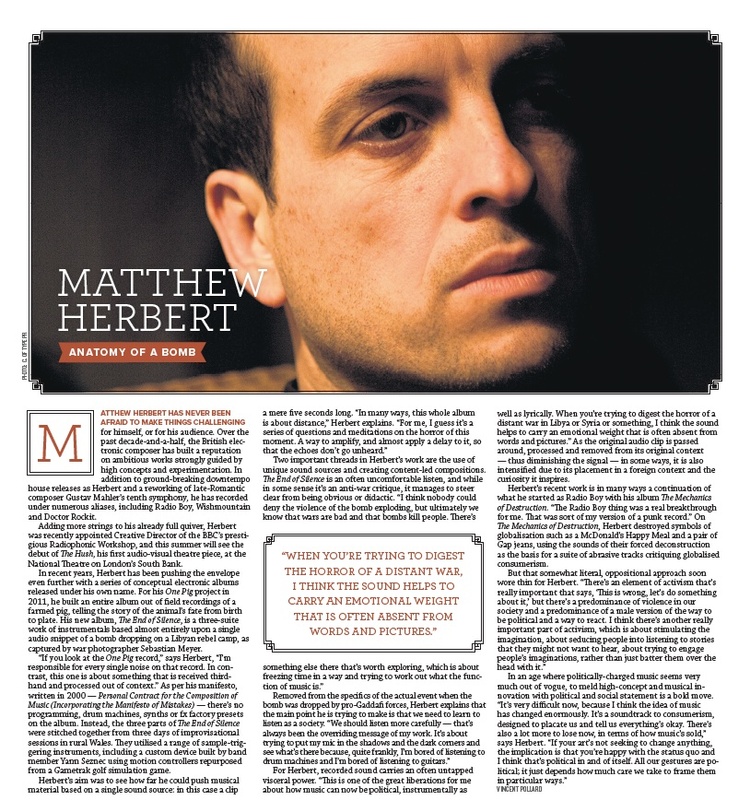 Matthew Herbert chats to The Sun about the concept behind his new work ‘The End Of Silence’. Curator of Tokyo-based label flau, Yasuhiko Fukuzono, records music under the guise aus. aus recently released his new remix album ‘ReCollected’ via Plop. ‘ReCollected’, is a collection of his most accomplished remix works dating back as far as 2006 and includes reworkings of tracks by Tujiko Noriko, Declining Winter, The Storms, Park Avenue Music, Cokiyu and more. 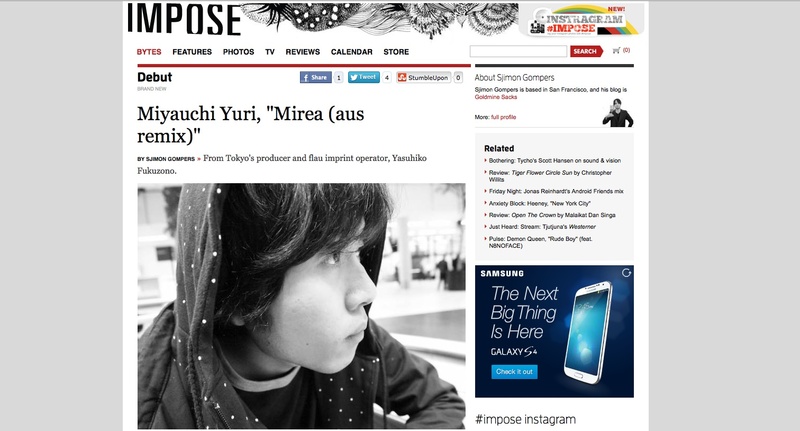 You can listen to and download his gloriously upbeat makeover of Miyauchi Yuri‘s track ‘Mirea’ thanks to IMPOSE Magazine. Matthew Herbert has unveiled the details of his new album ‘The End of Silence’, which will be released in June 24th via his Accidental label. Matthew and his colleagues have recorded a new album formed of three parts and devised entirely from a 10 second sound recording. 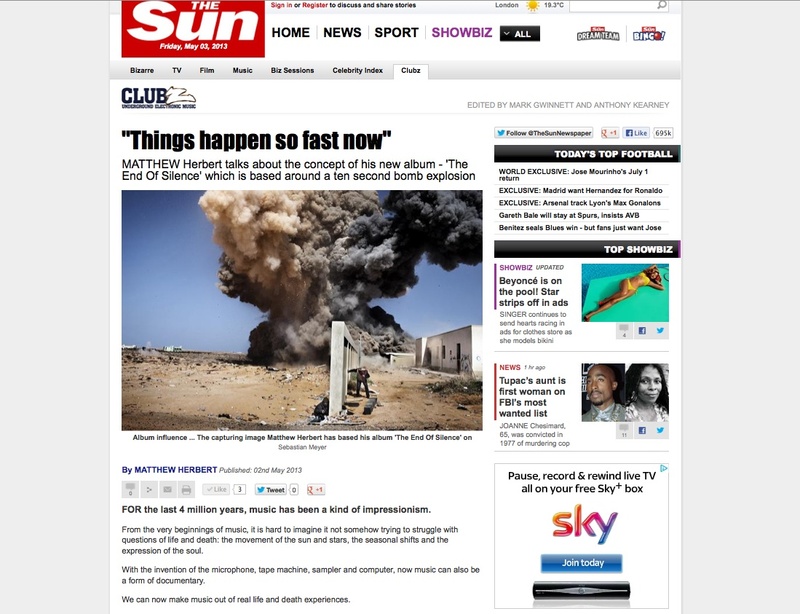 It is of war photographer Sebastian Meyer being bombed by a Gadaffi war plan in Libya in 2011. 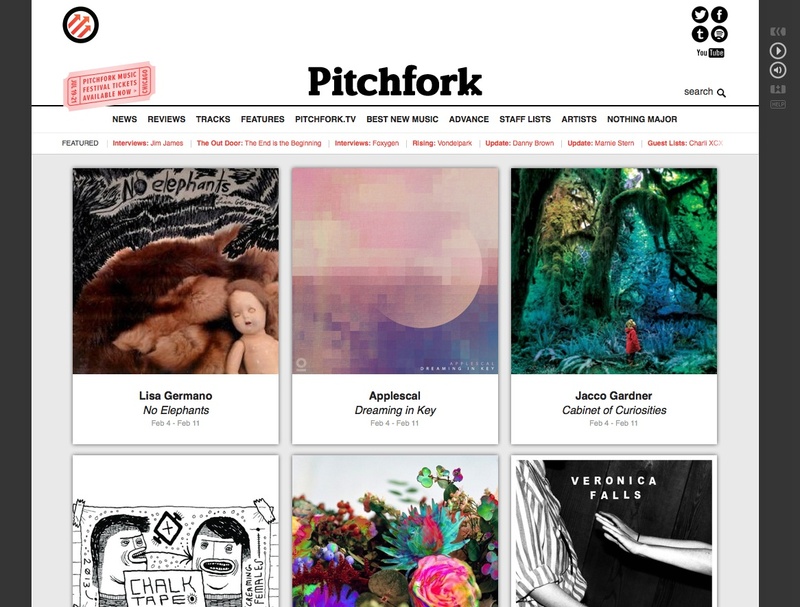 You can hear ‘Part One’ of the album over at Pitchfork now. 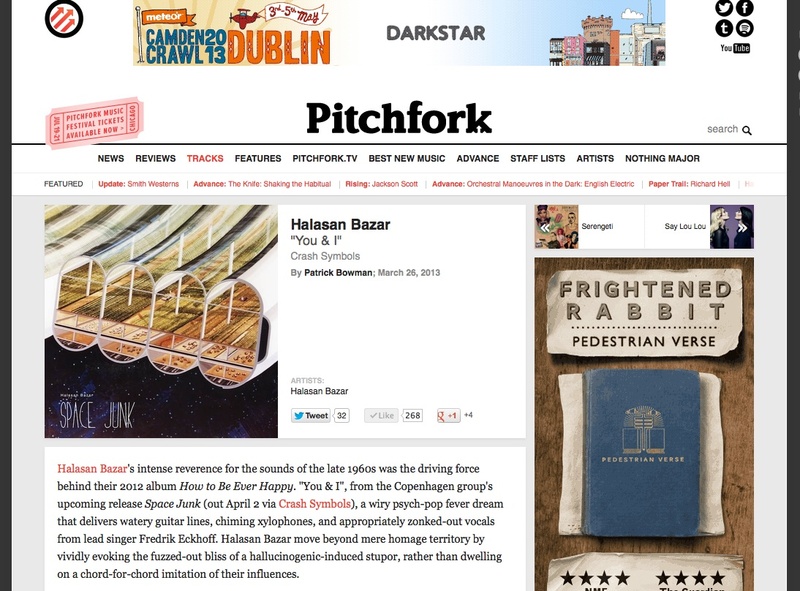 Check out Danish fuzz-pop outfit Halasan Bazar‘s new single ‘You & I’ thanks to Pitchfork. The song is the second single to be taken from their new album ‘Space Junk’, which is available now from Crash Symbols. 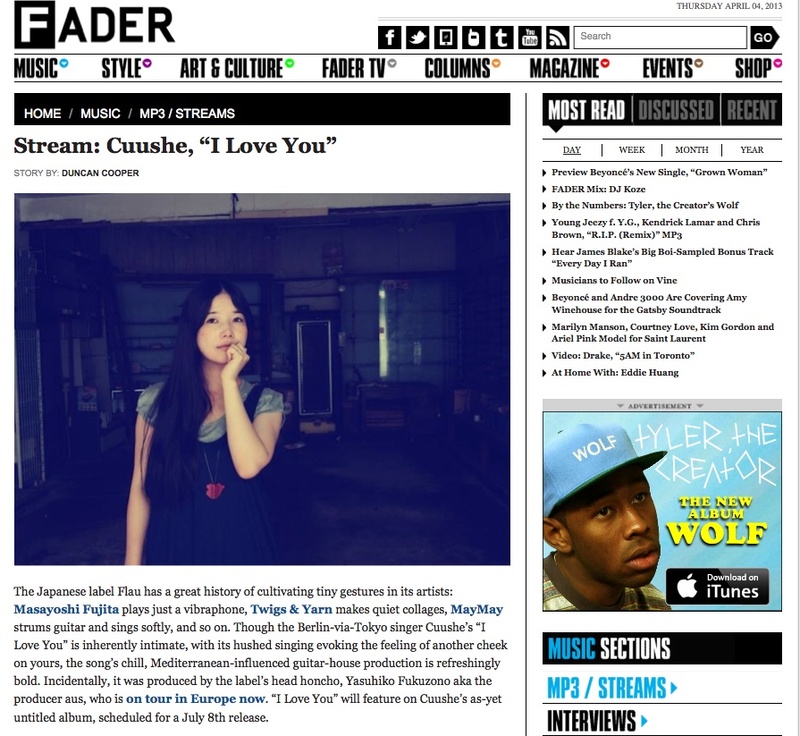 Berlin-by-way-of-Tokyo singer, Cuushe reveals her new song ‘I Love You’ over at the FADER. Japanese vocalist Noah teams up with Kitty Pryde producer SELA. to record a split EP aptly titled Noah x SELA. listen to the opening track over at This is Fake DIY. Weval offer up their new track ‘Out Of The Game’ via SPINNER. 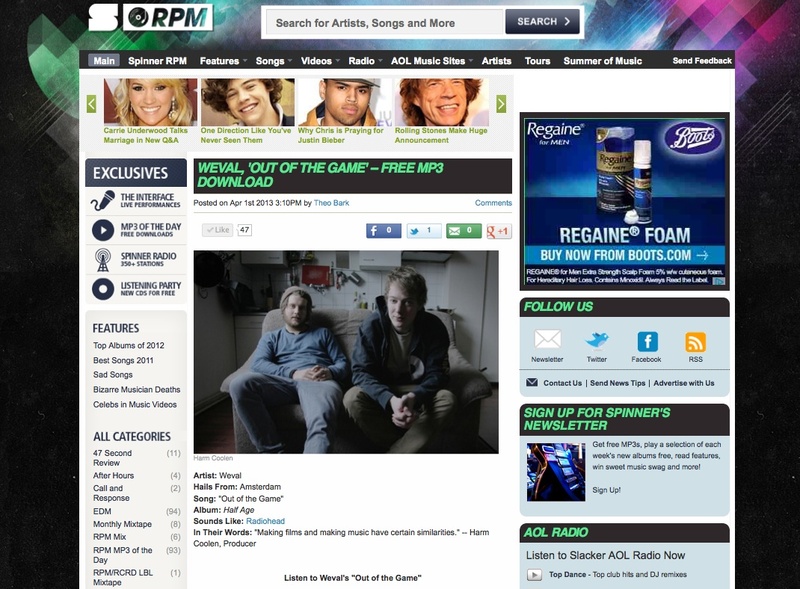 The song is taken from their new EP of the same name. You can listen to the ‘Out Of The Game’ EP here. 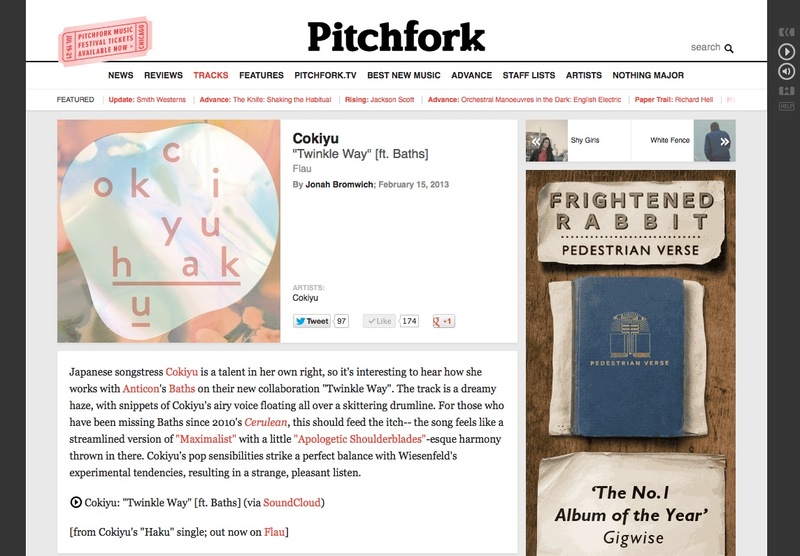 Pitchfork premier the new song ‘Twinkle Way’ by Cokiyu. ‘Twinkle Way’ is the lead single from her new collaborative EP with Baths. 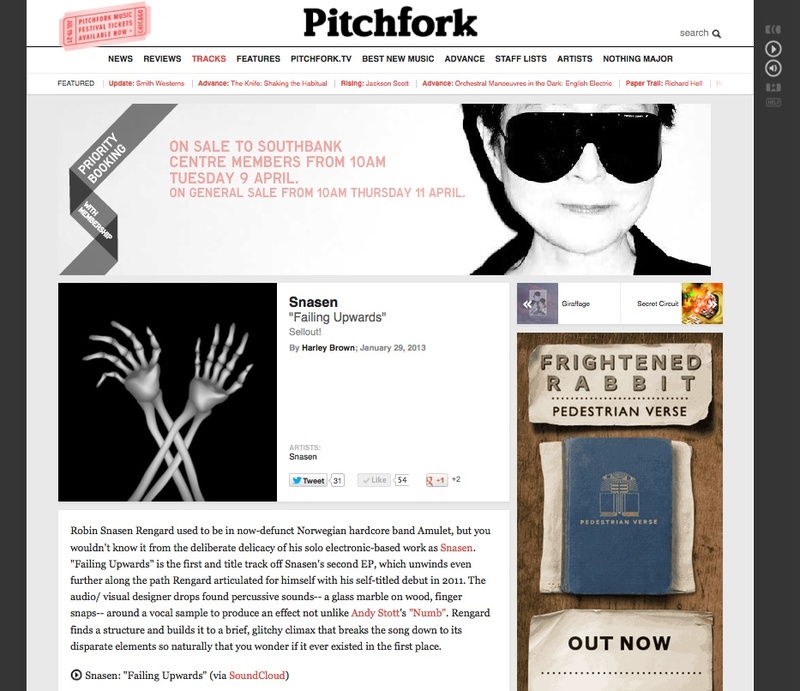 Pitchfork premier the EP title track ‘Failing Upwards’ by Norwegian producer Snasen. 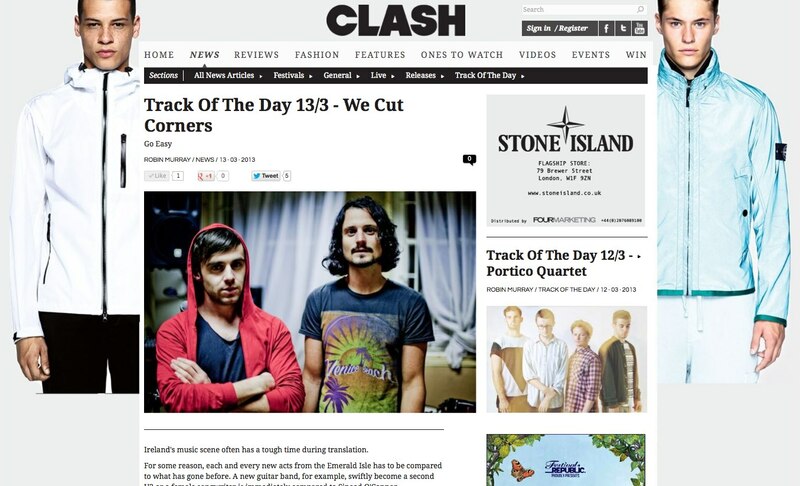 Clash Magazine make Irish duo, We Cut Corner‘s song ‘Go Easy’ their Track Of The Day. 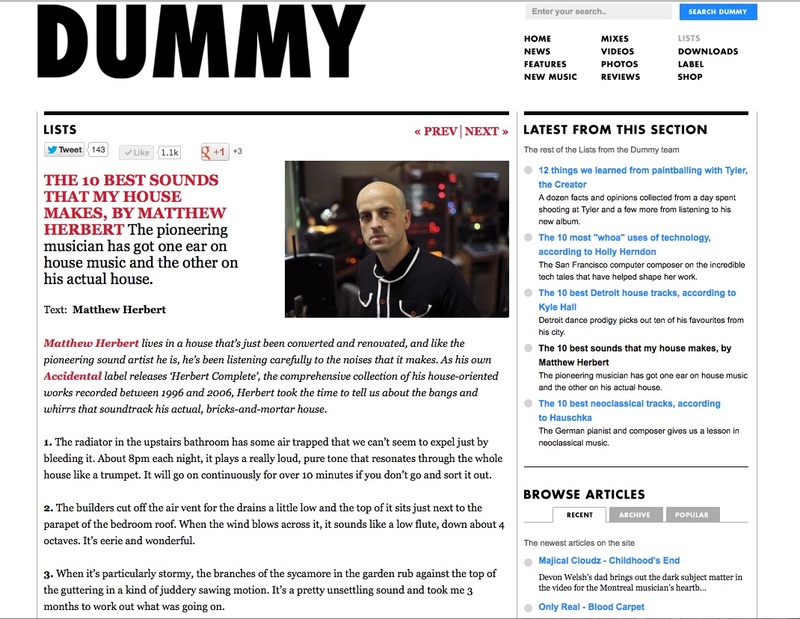 Matthew Herbert speaks to Dummy Magazine about “The 10 best sounds that my house makes”. Having recently awarded Applescal‘s latest offering ‘Dreaming In Key’ 7.6/10 ( which is very good in Pitchfork standards), Pitchfork Advance is offering an exclusive advance listen to the new album in its entirety.